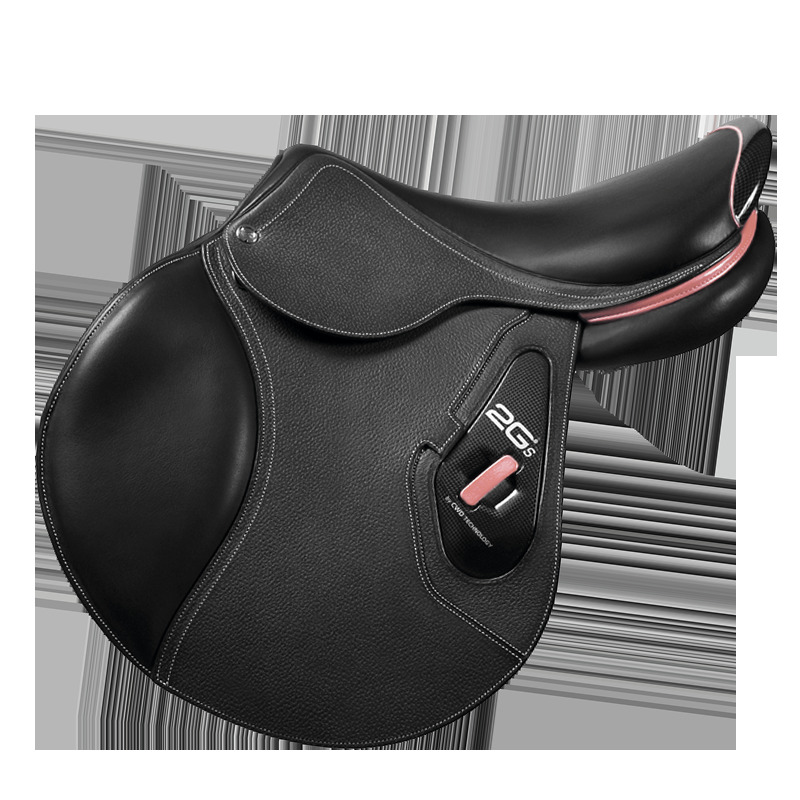 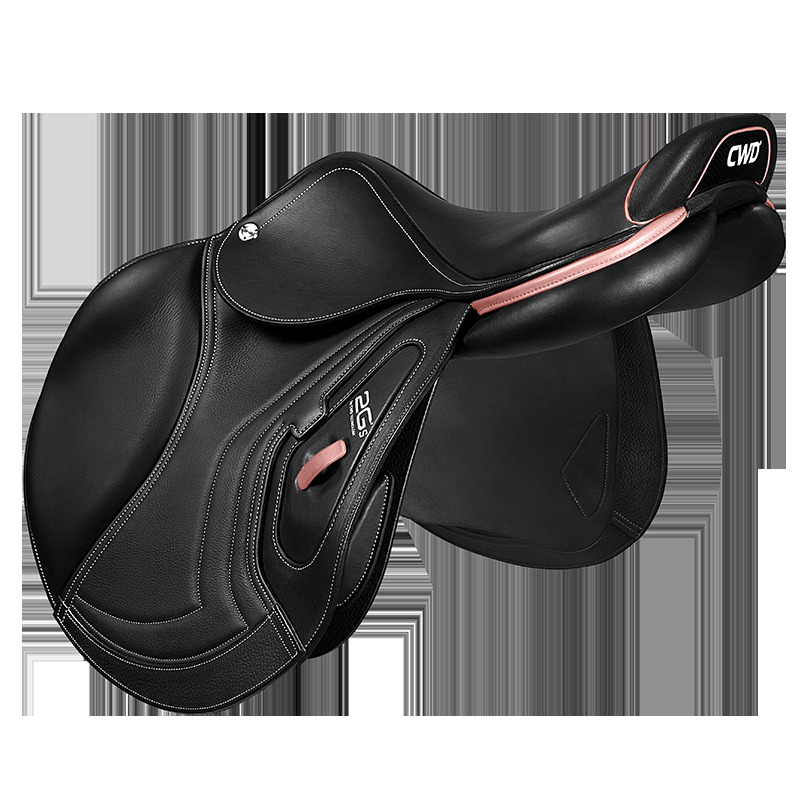 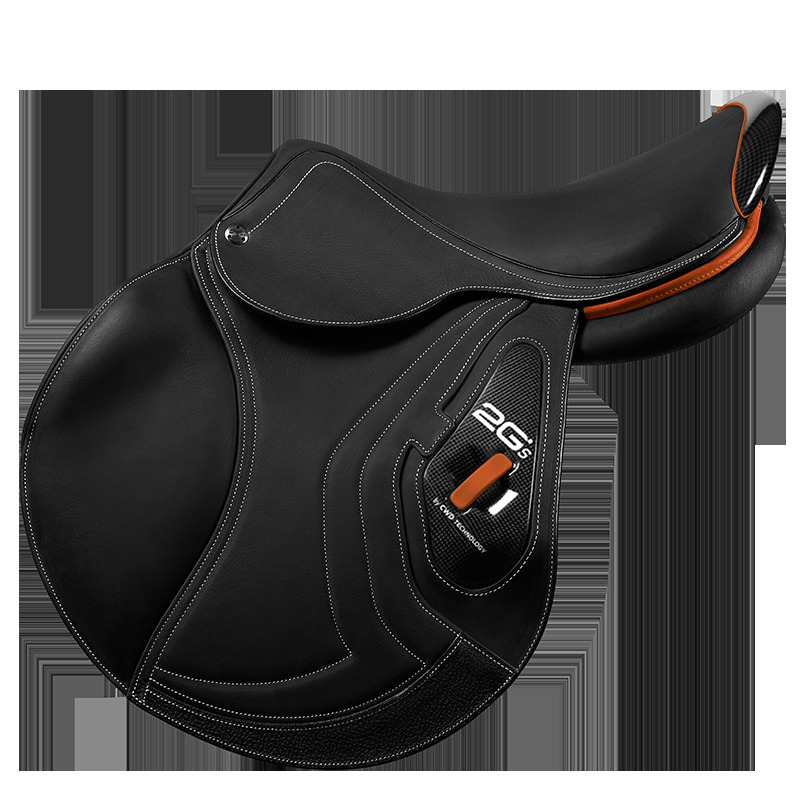 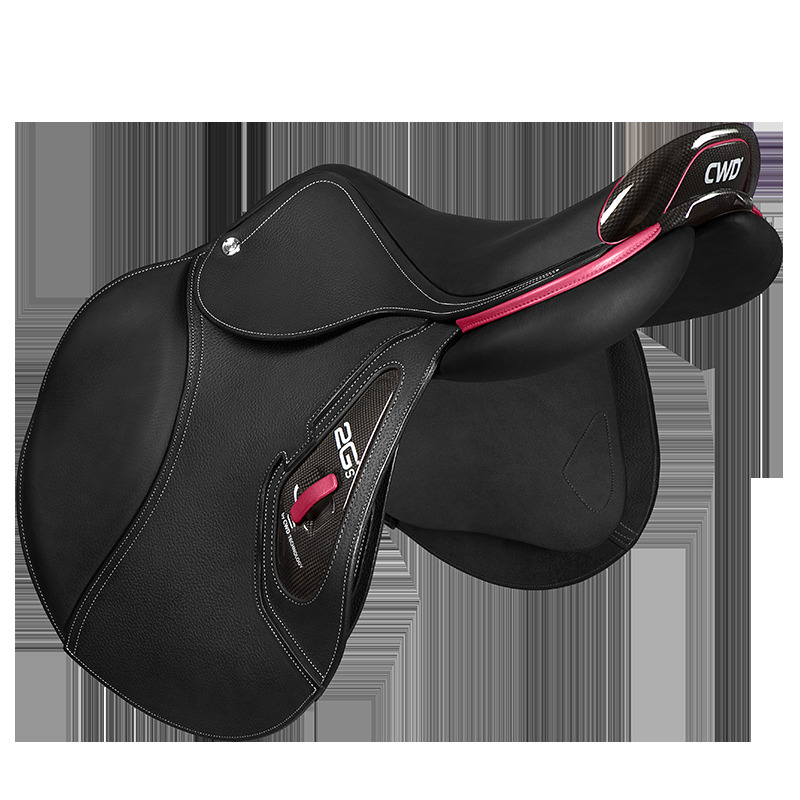 The new design of the 2Gs® saddle revolutionises all sensations with its concentrate of innovation. Contact, comfort, lightweight, flexibility... 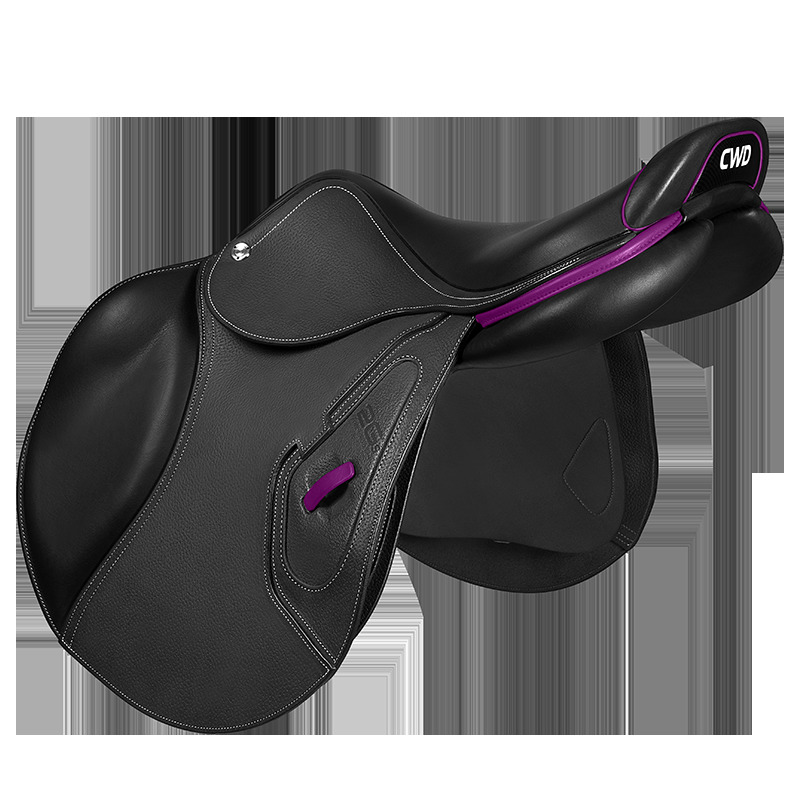 Prepare yourself for a shock when you try this saddle that has enjoyment in its genes. *Starting at $7.100. For any request about our prices, please contact your CWD local representative. 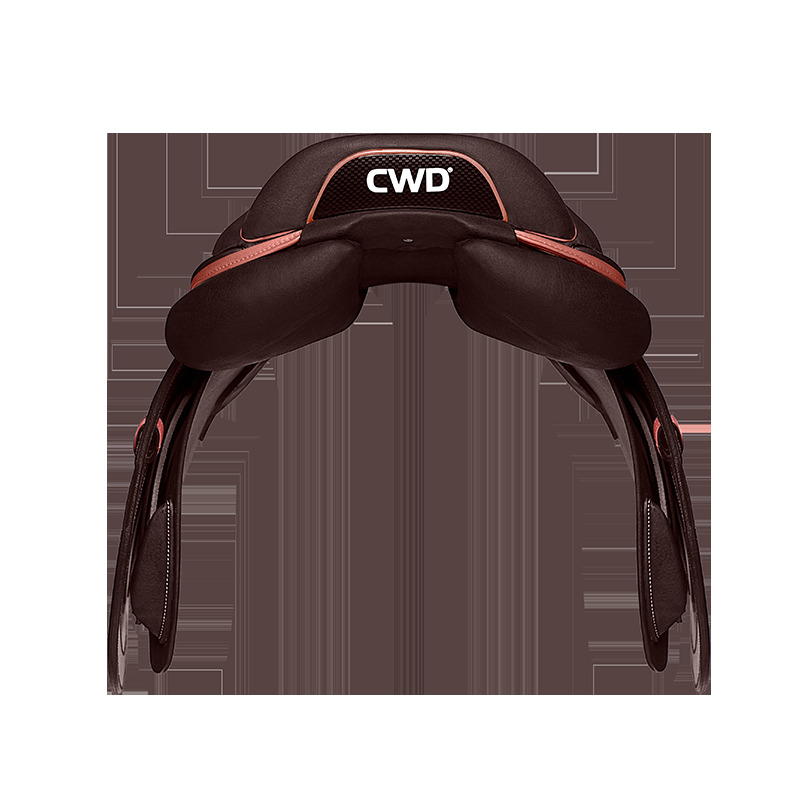 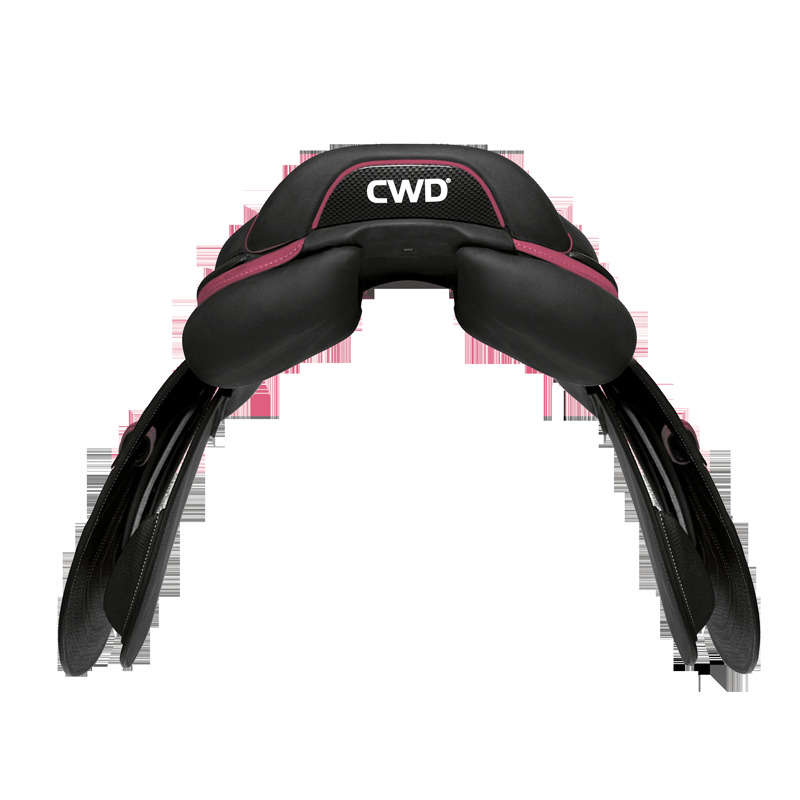 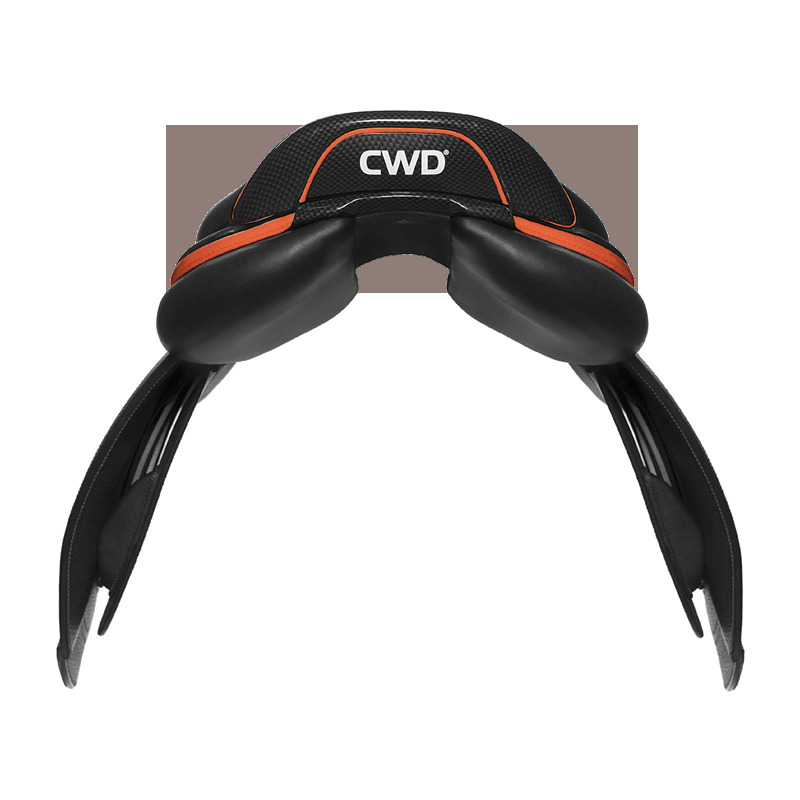 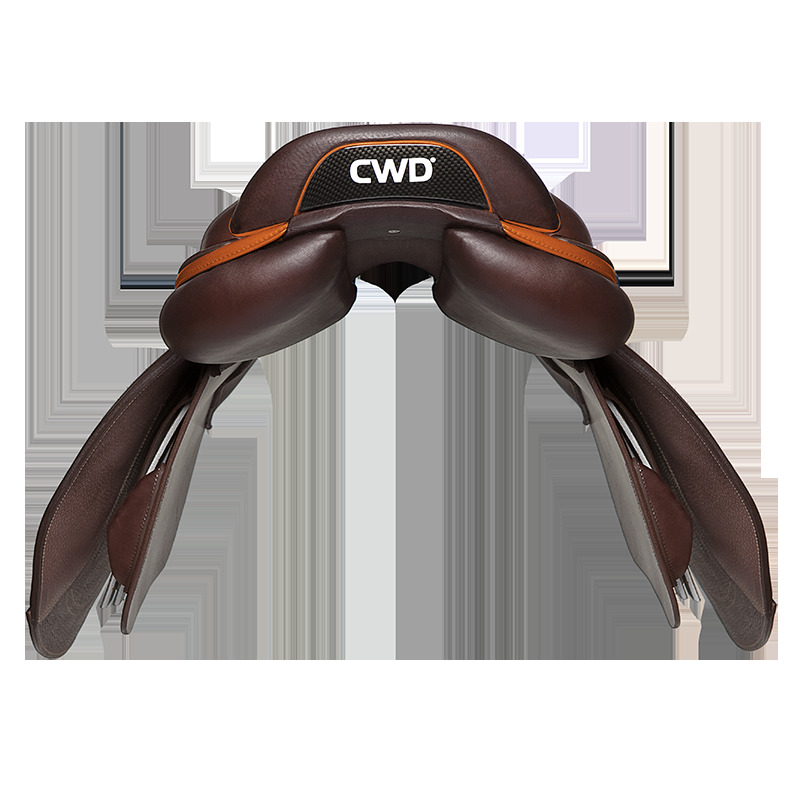 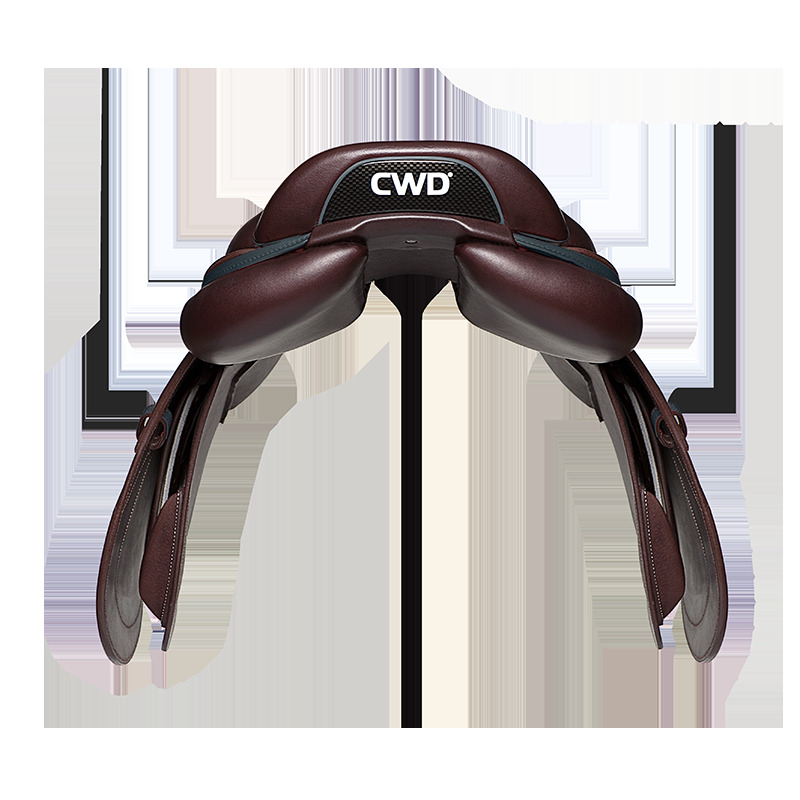 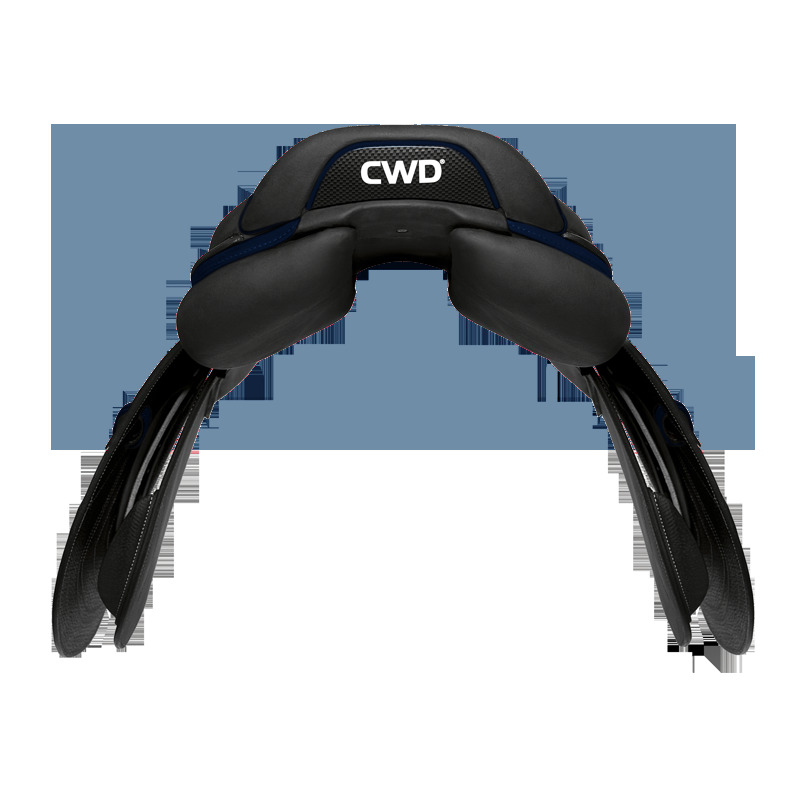 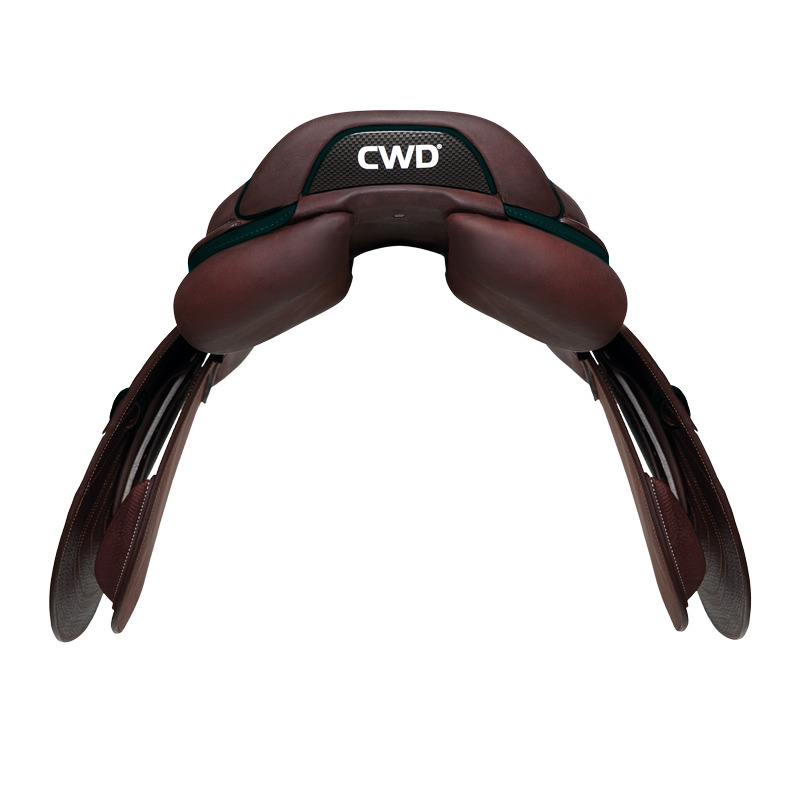 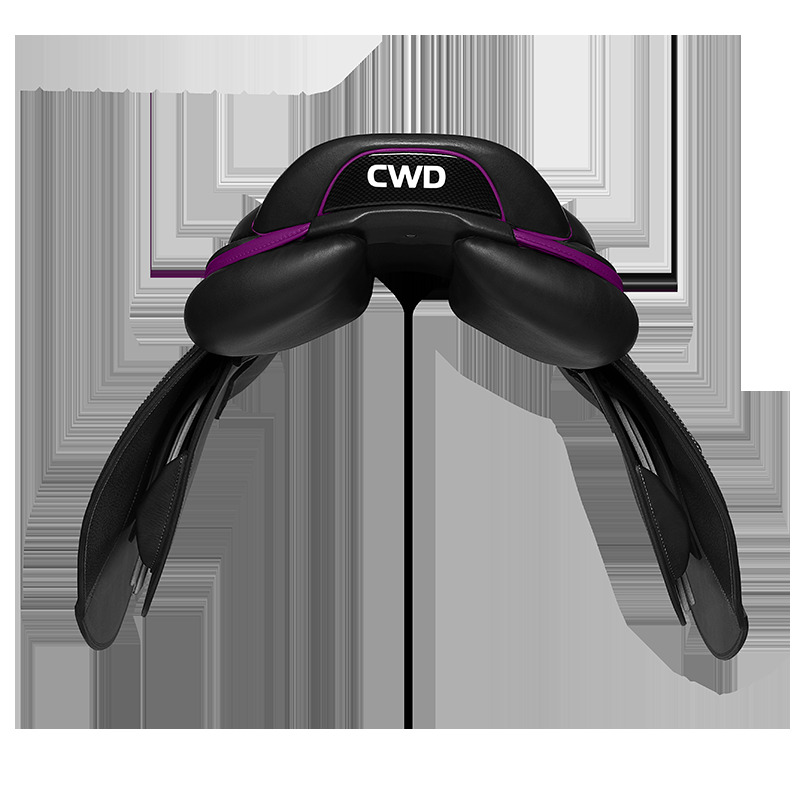 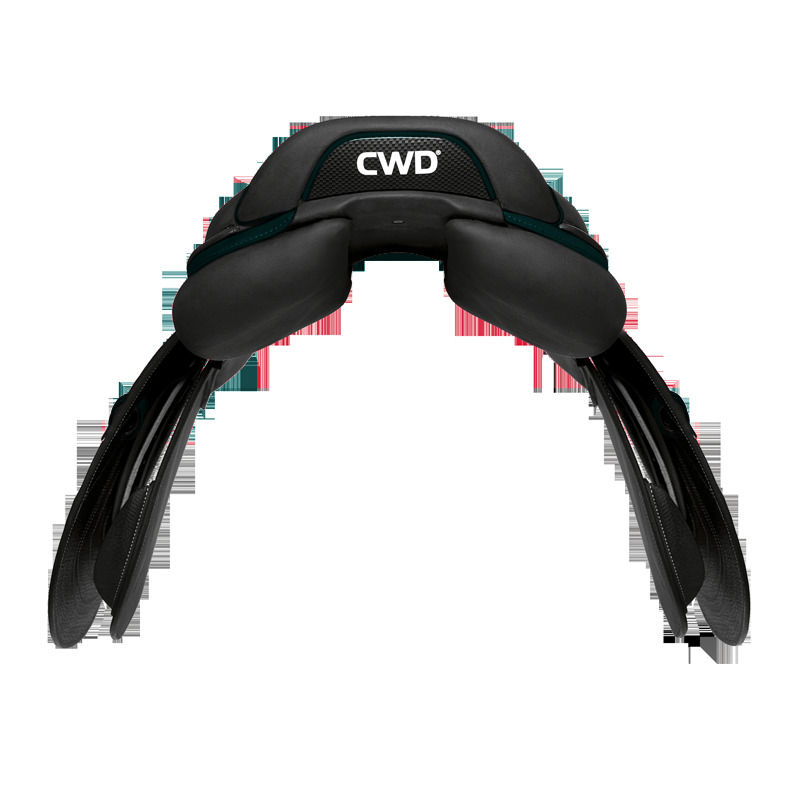 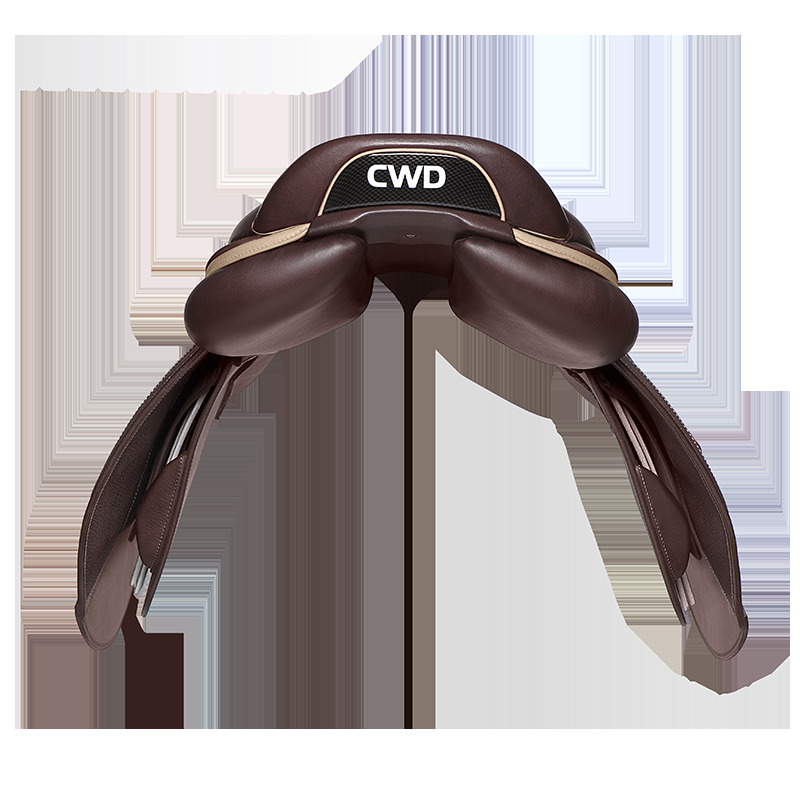 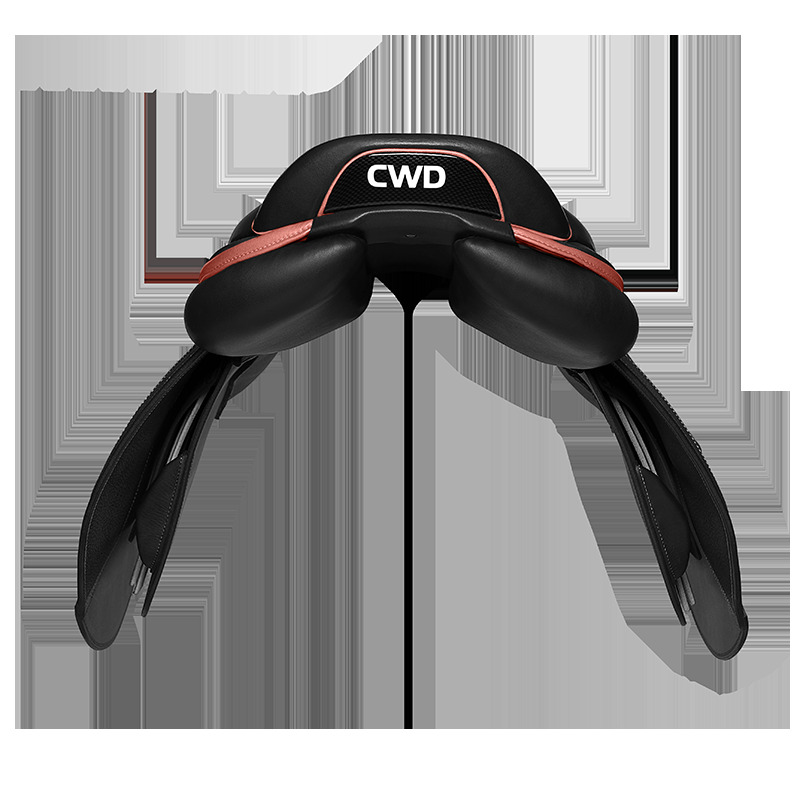 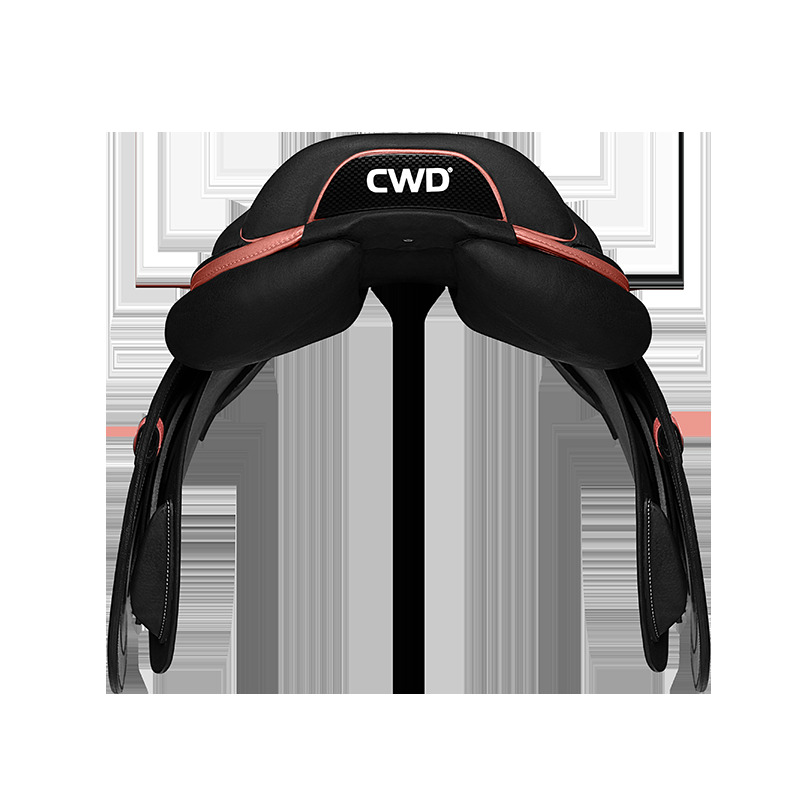 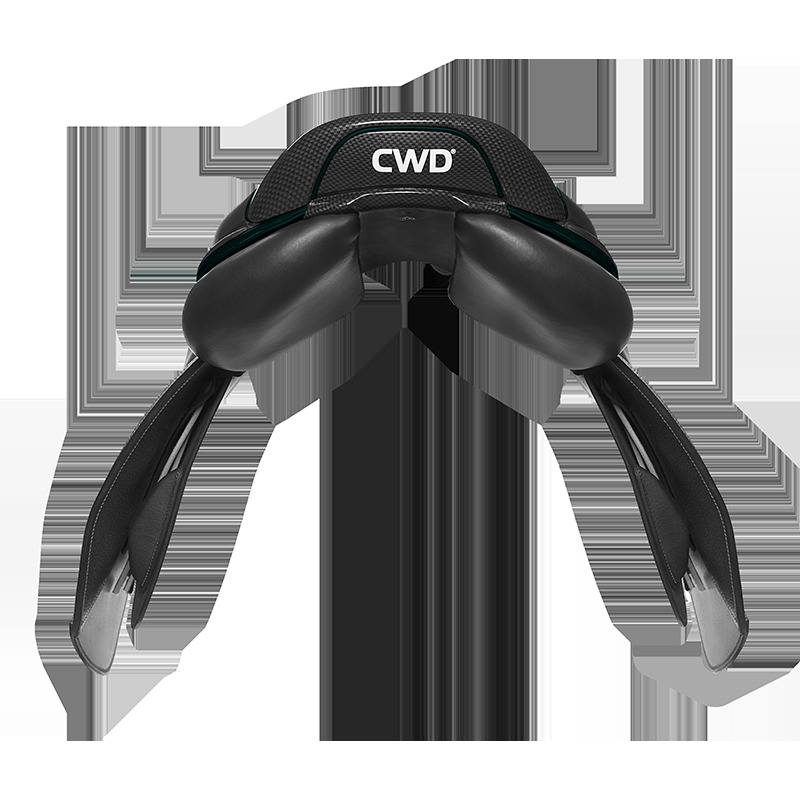 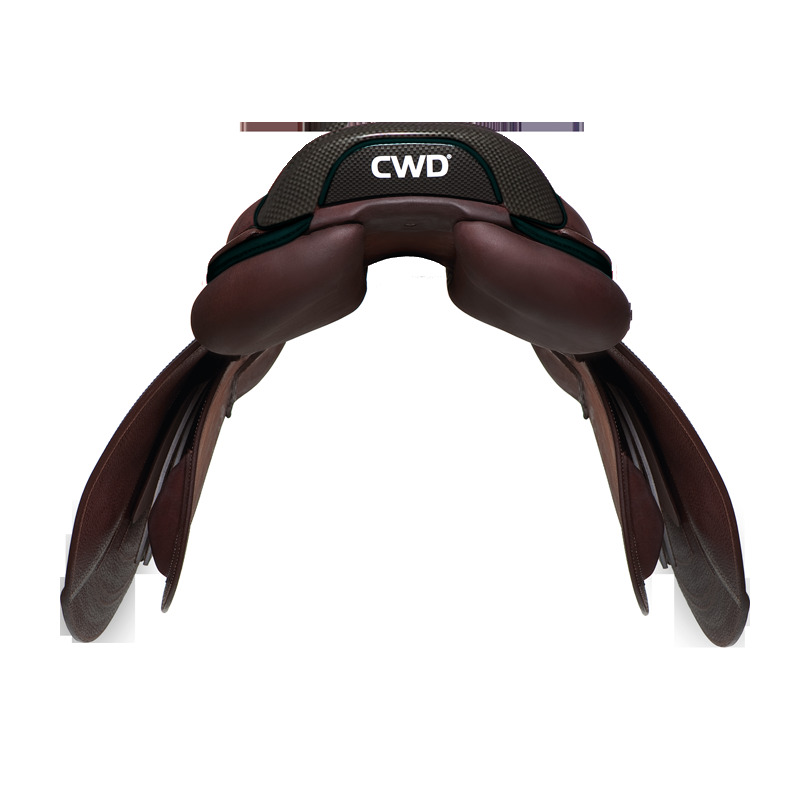 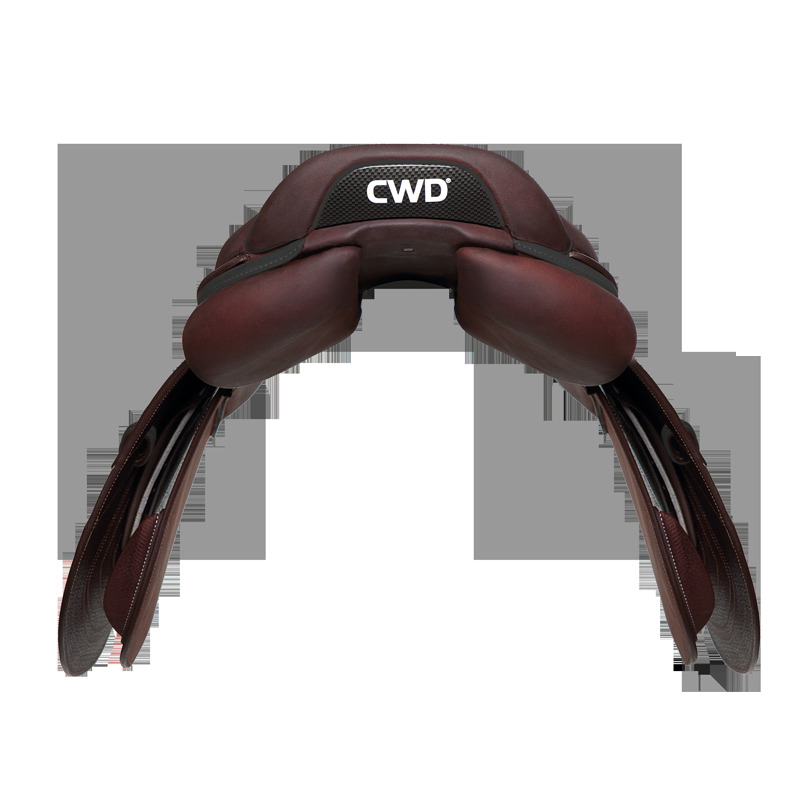 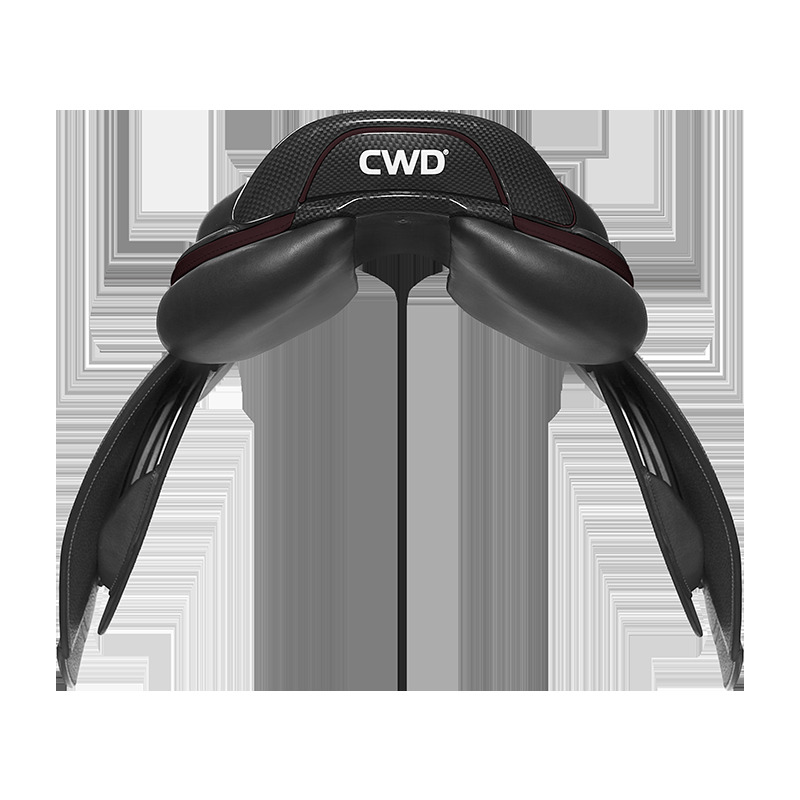 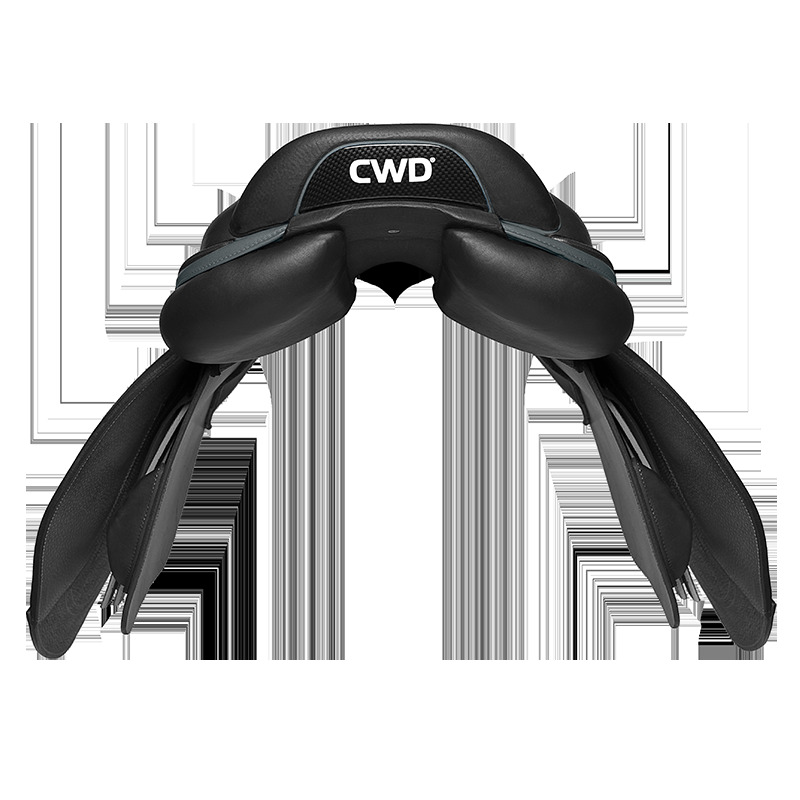 CWD's R&D department has worked hard to redesign the 2Gs®, jewel of the Dynamick® range. It took a whole year to redesign and improve it. 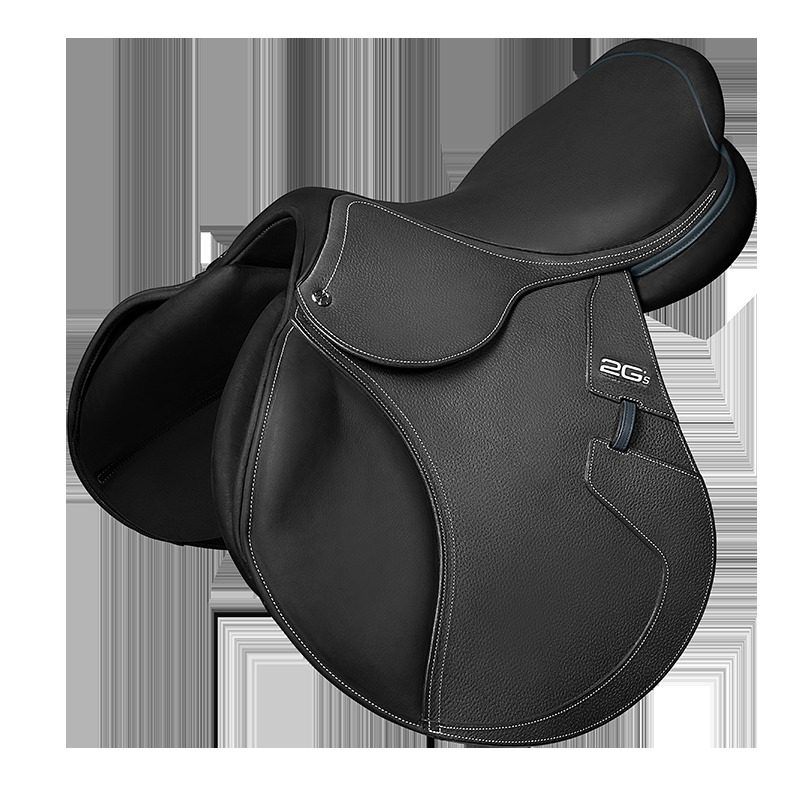 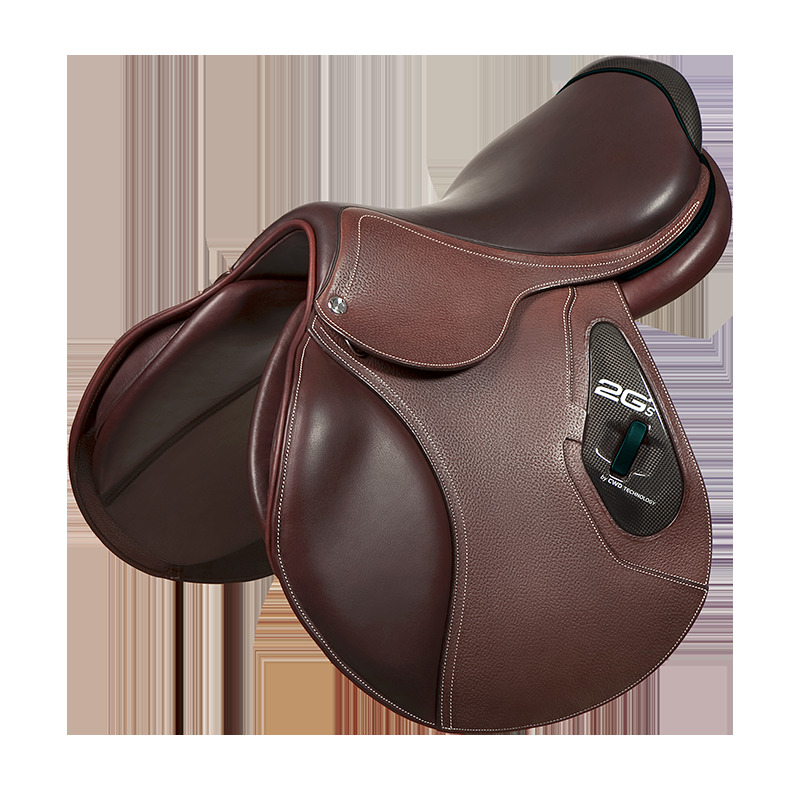 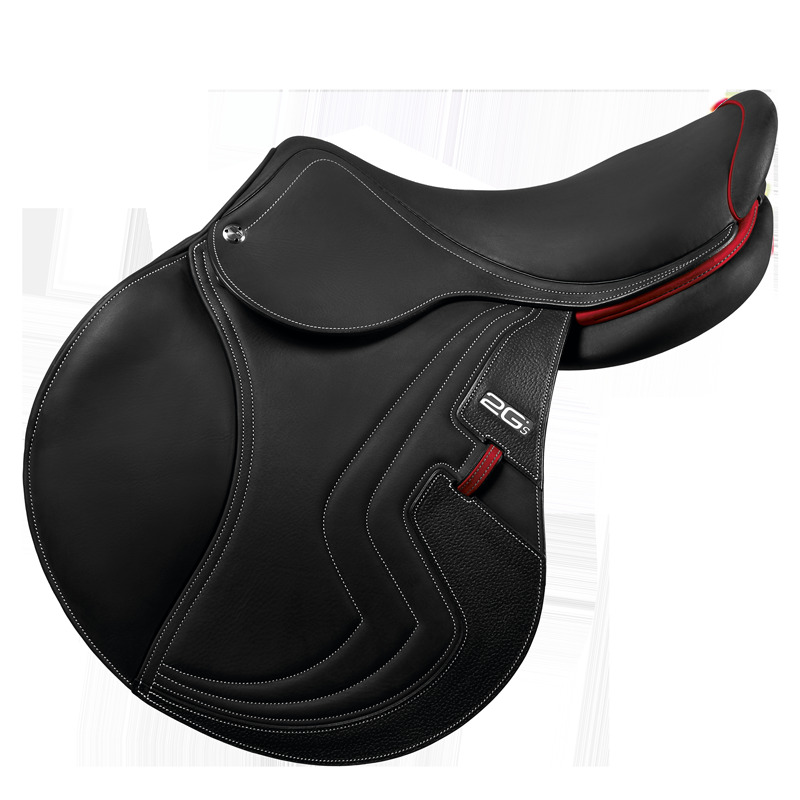 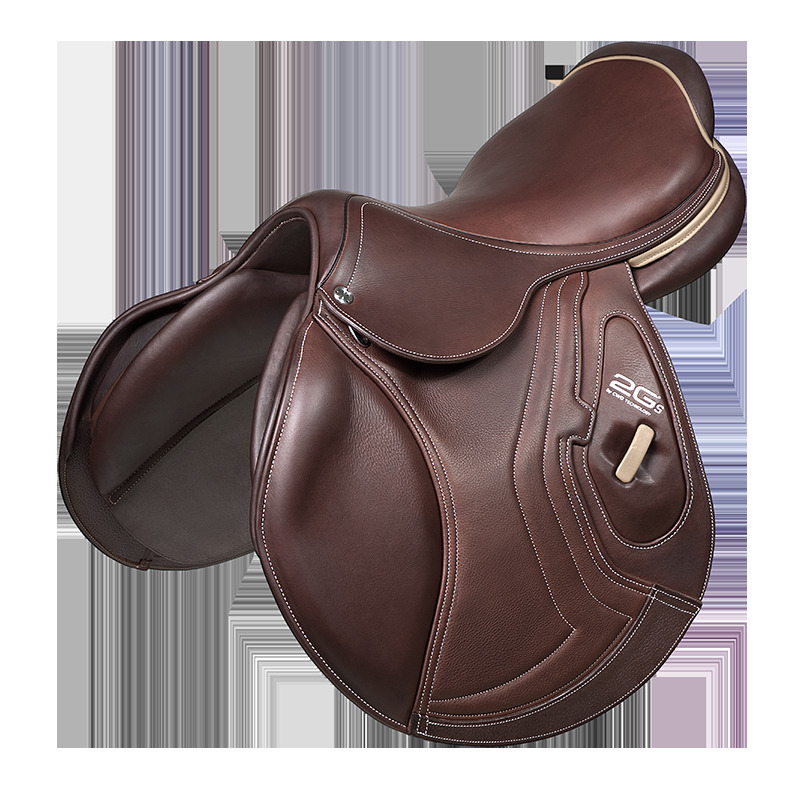 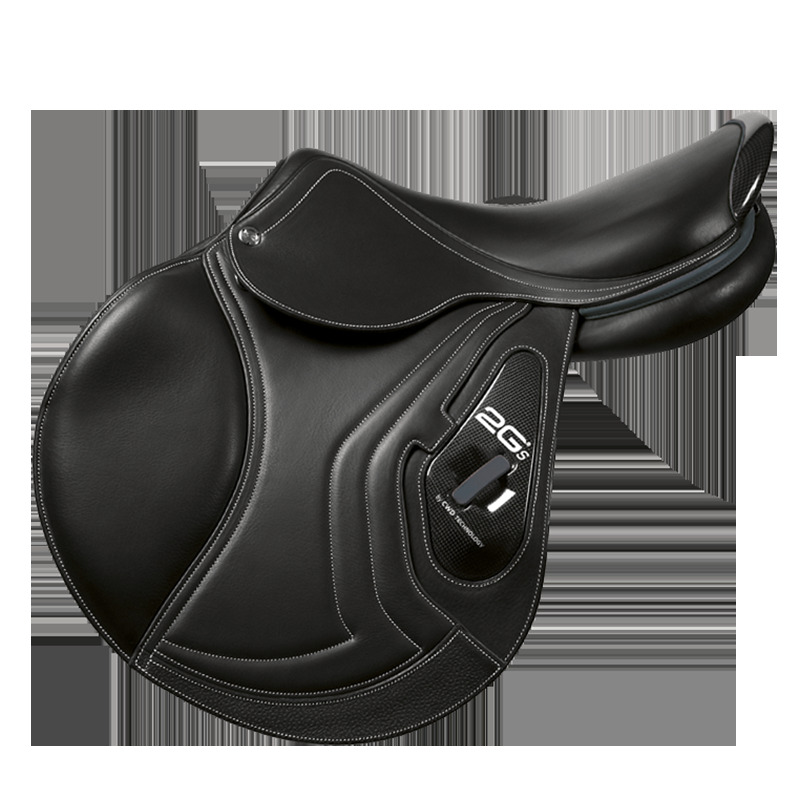 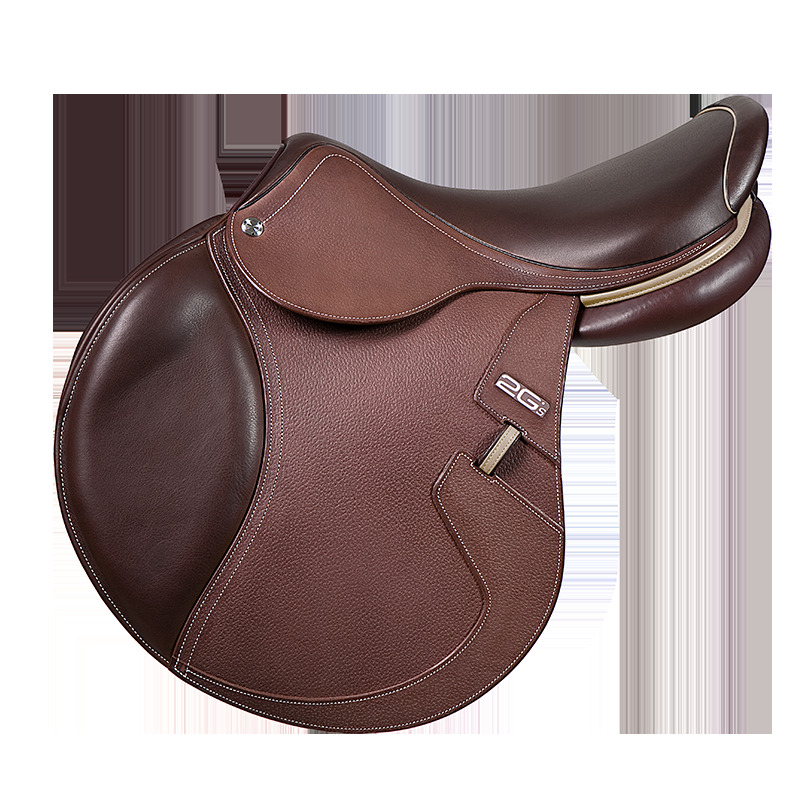 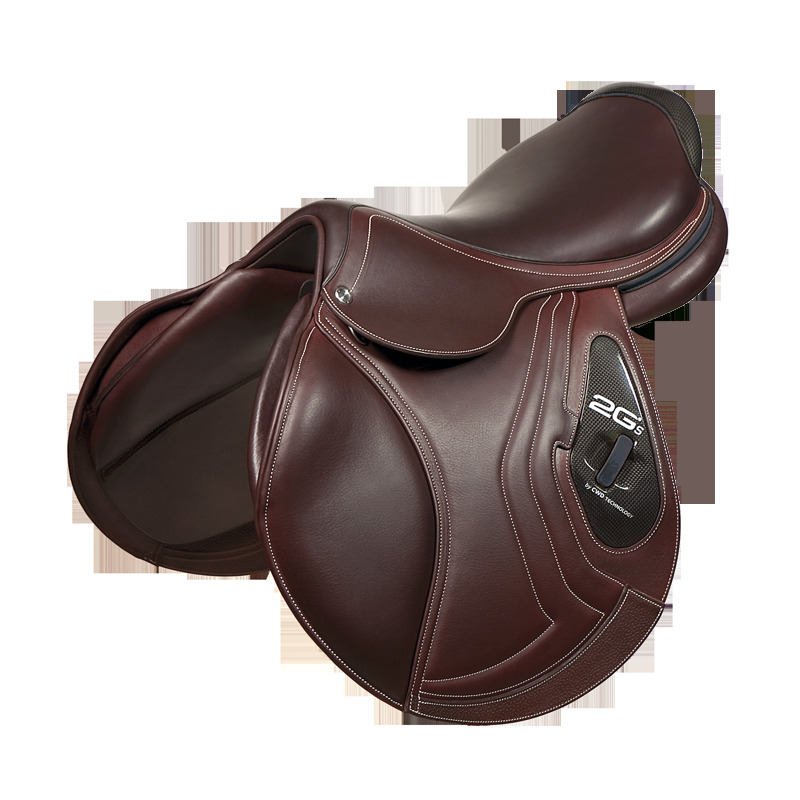 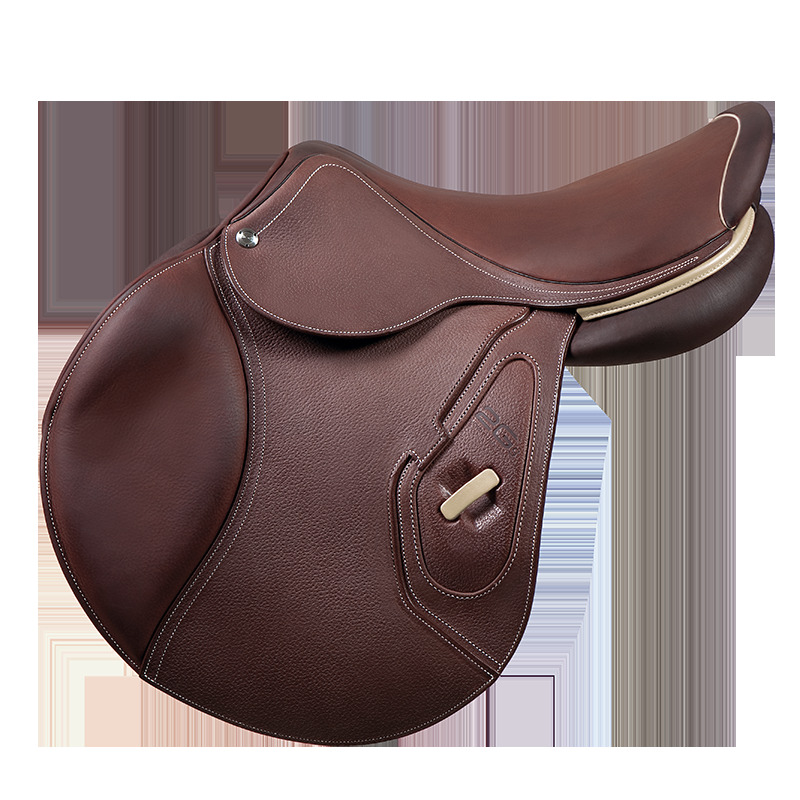 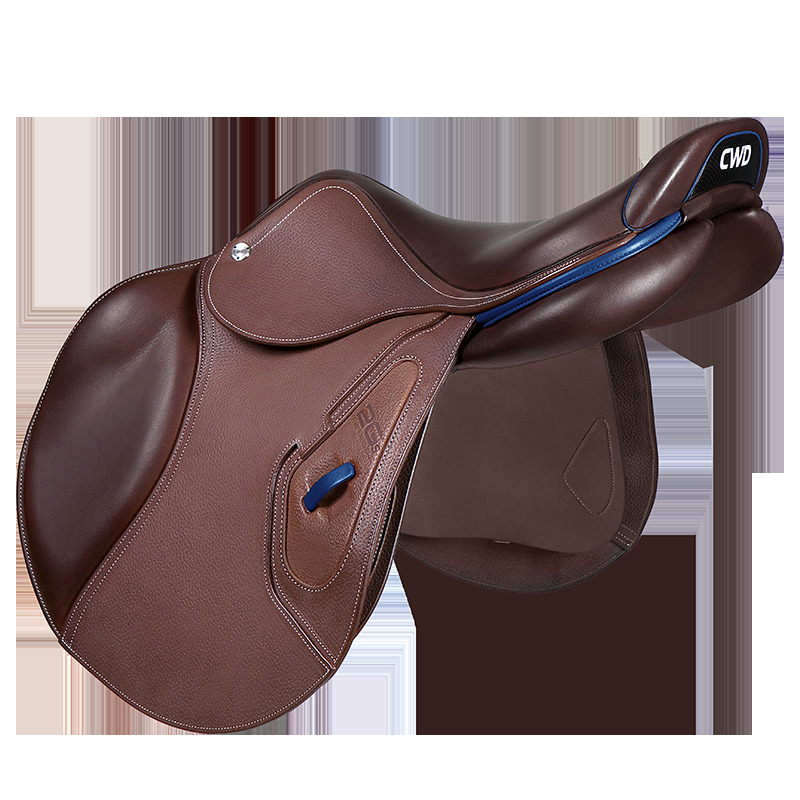 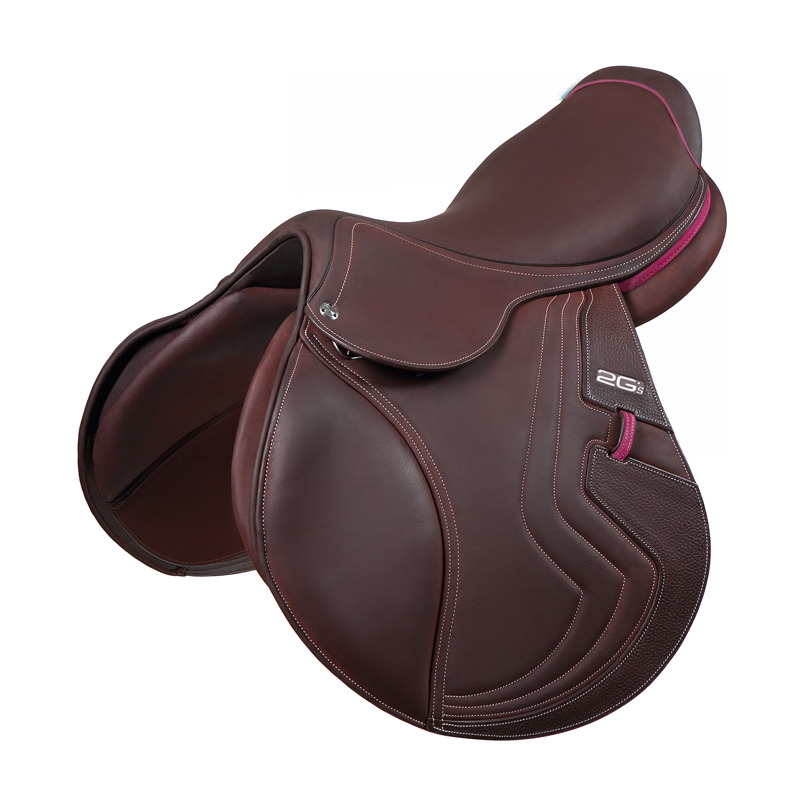 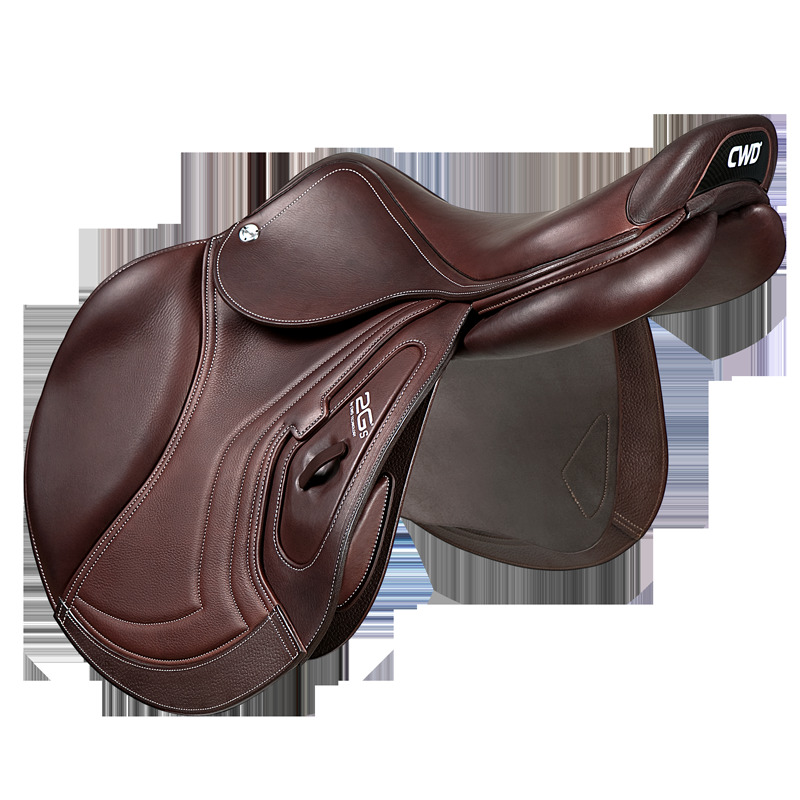 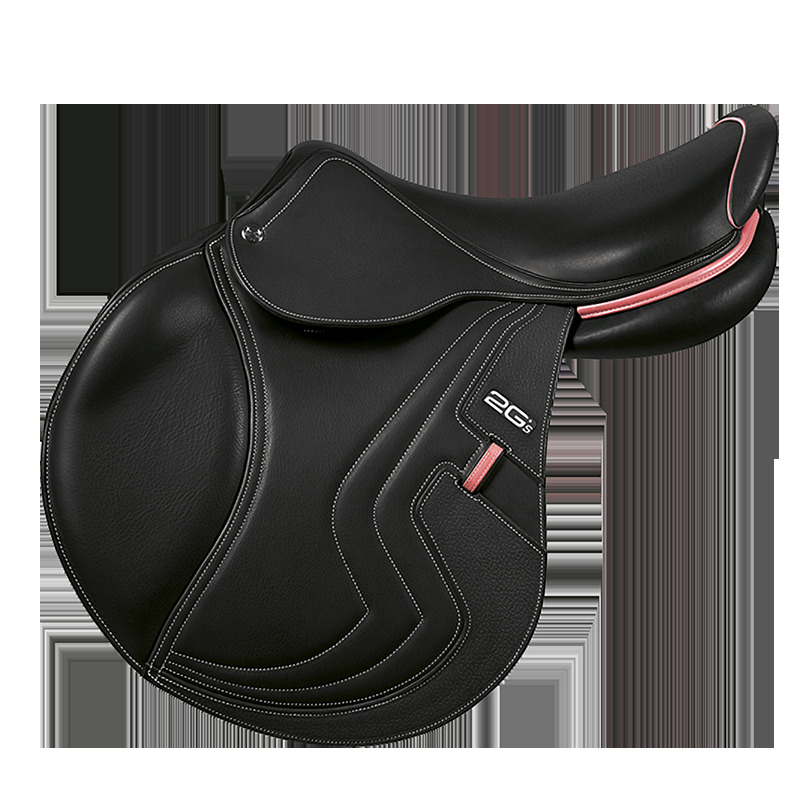 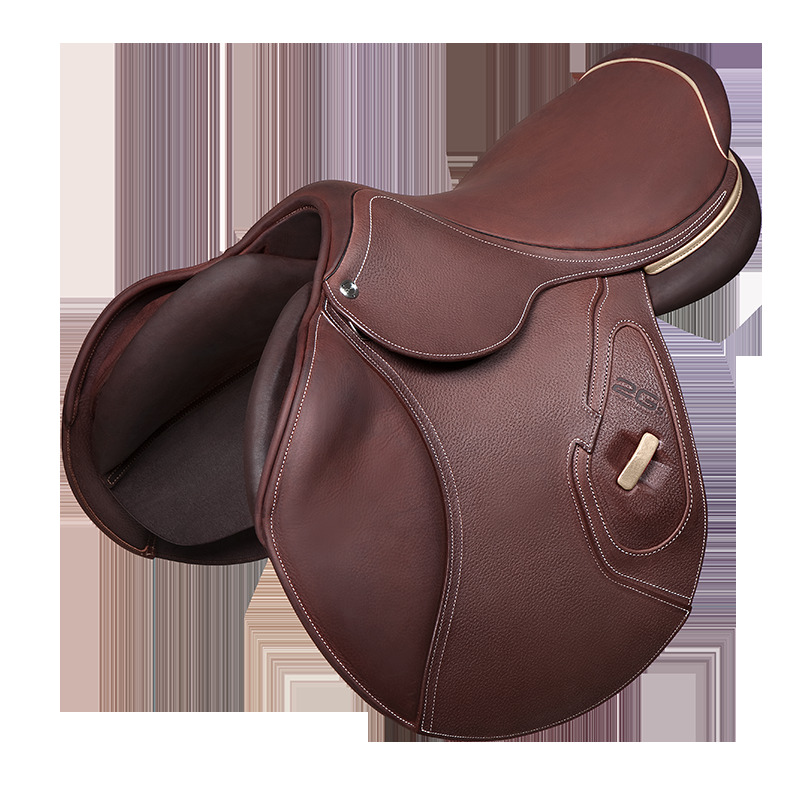 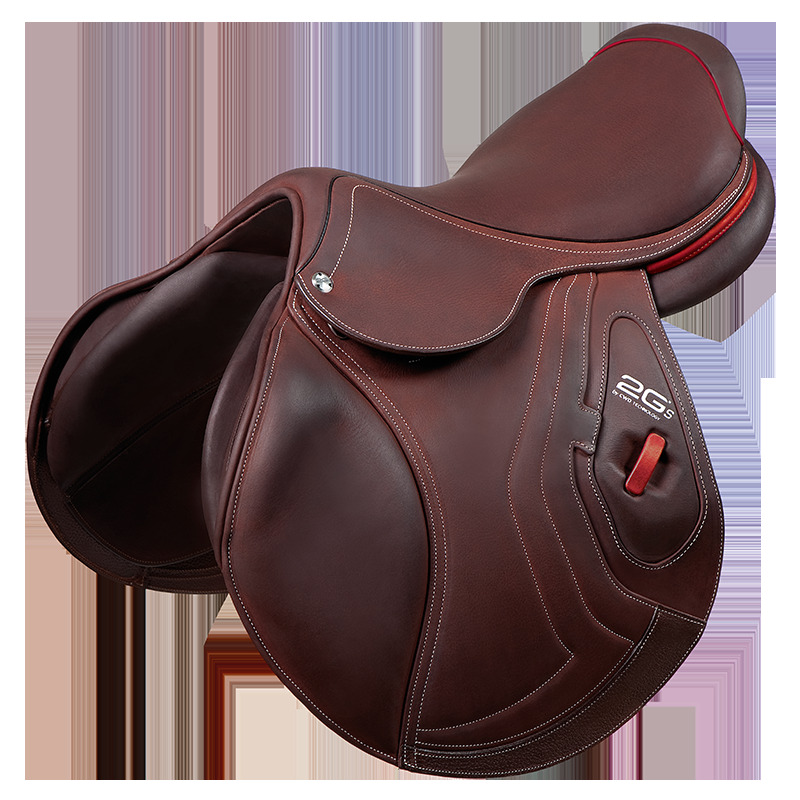 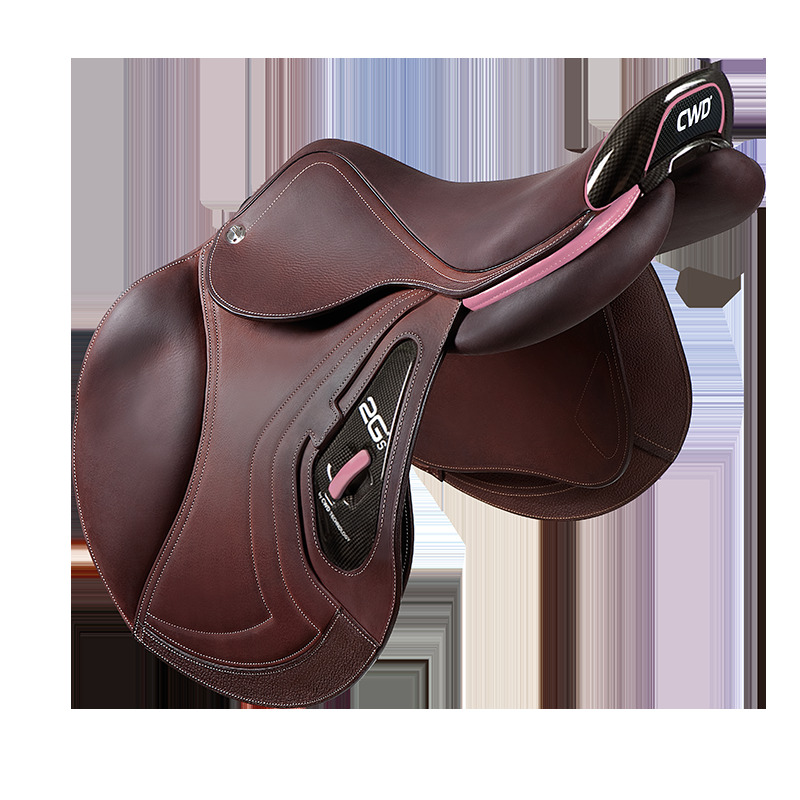 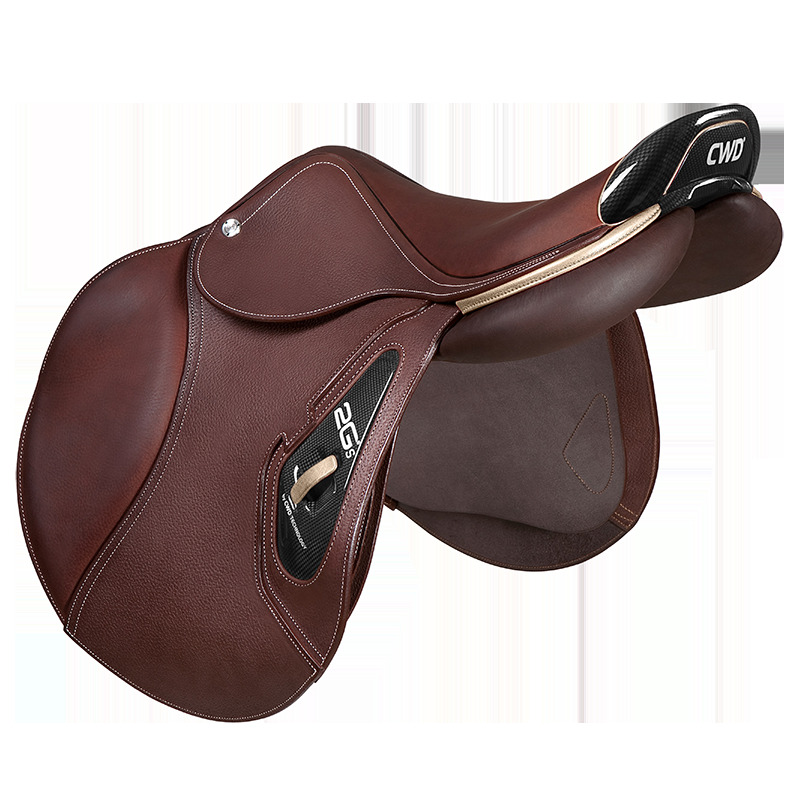 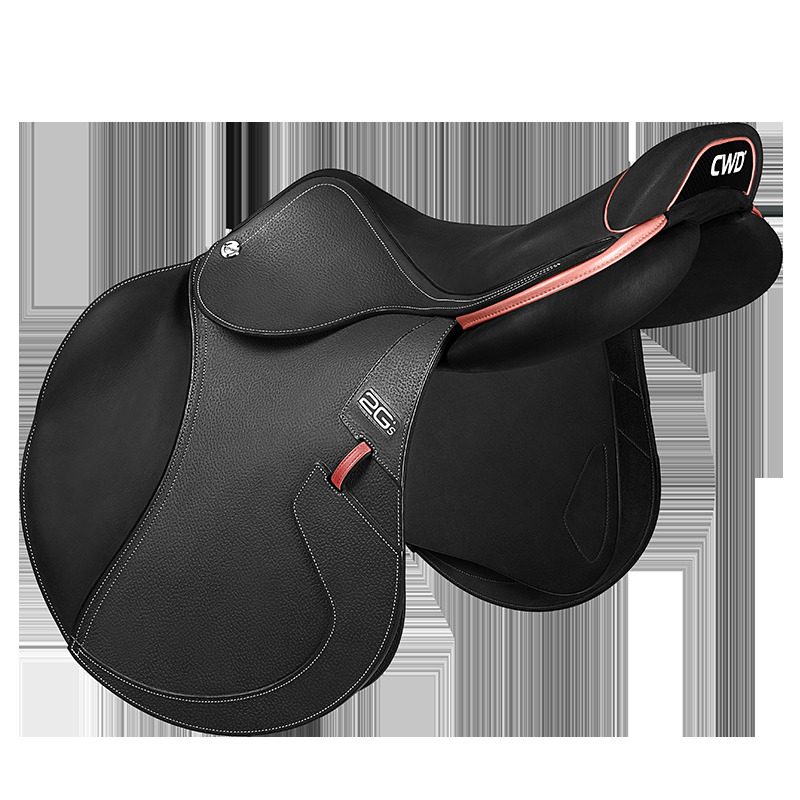 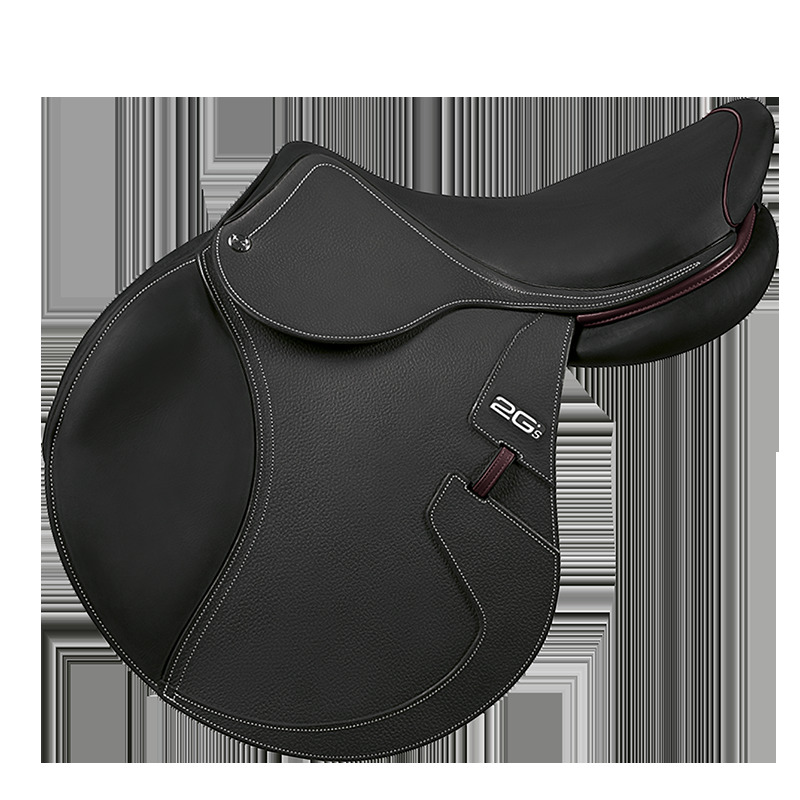 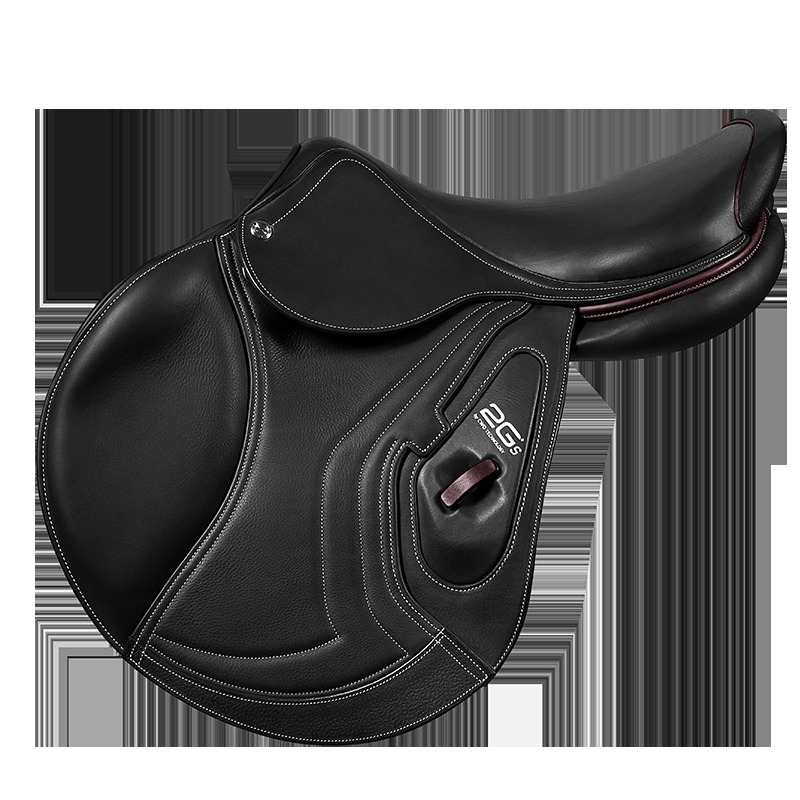 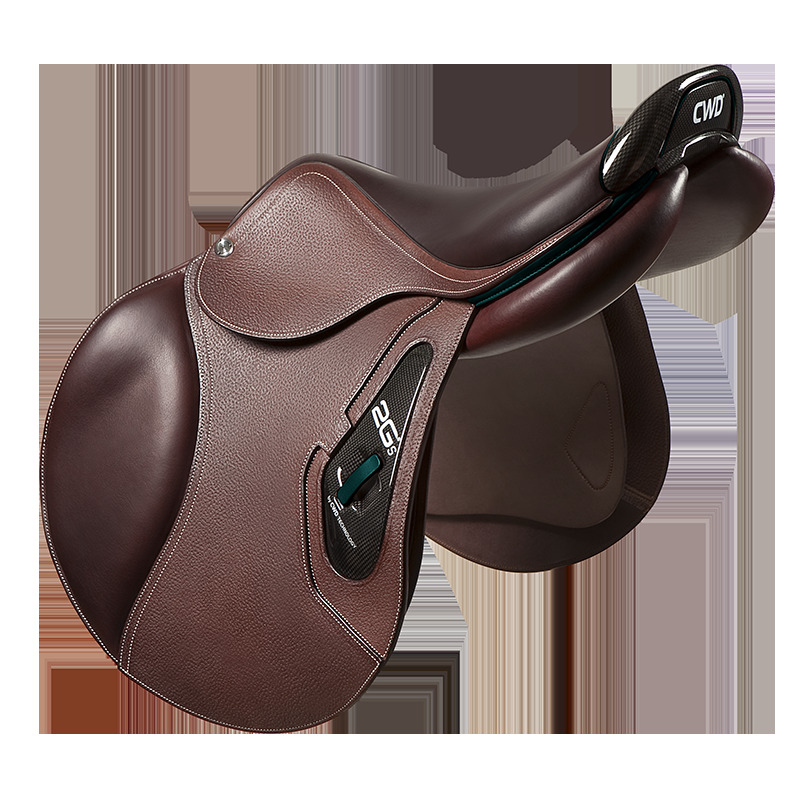 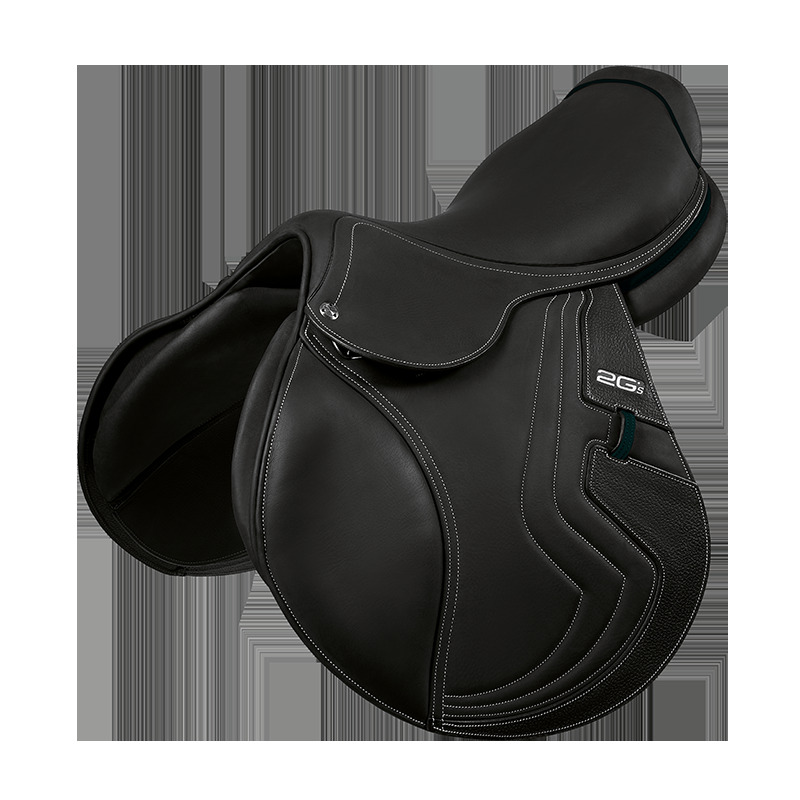 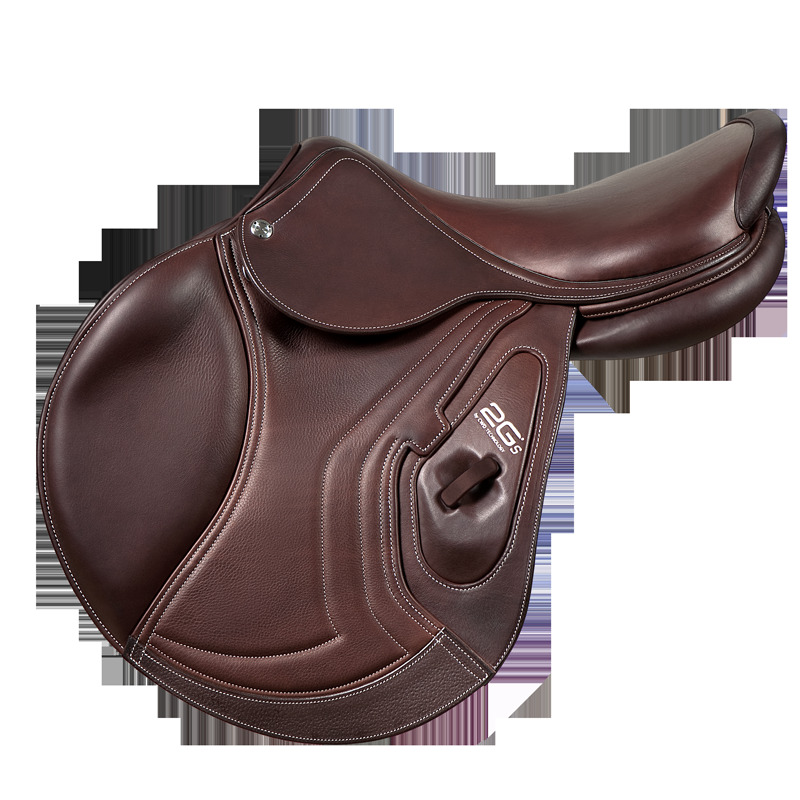 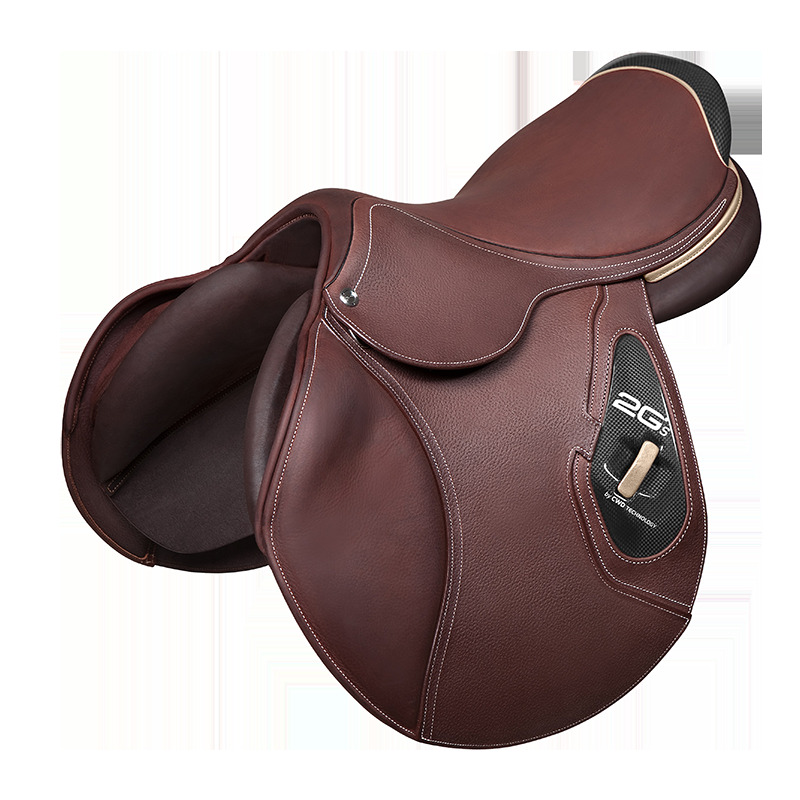 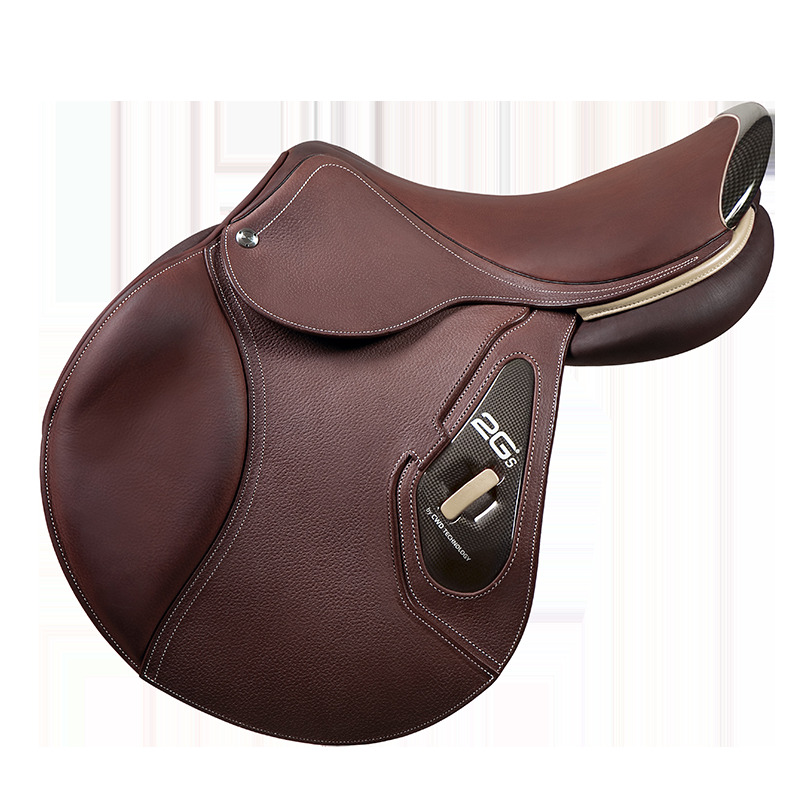 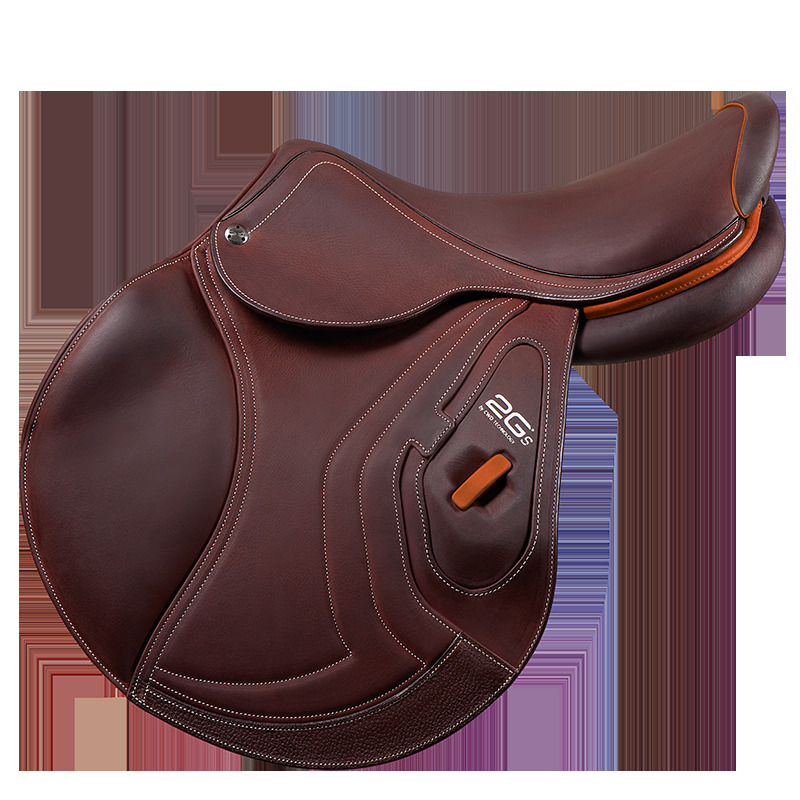 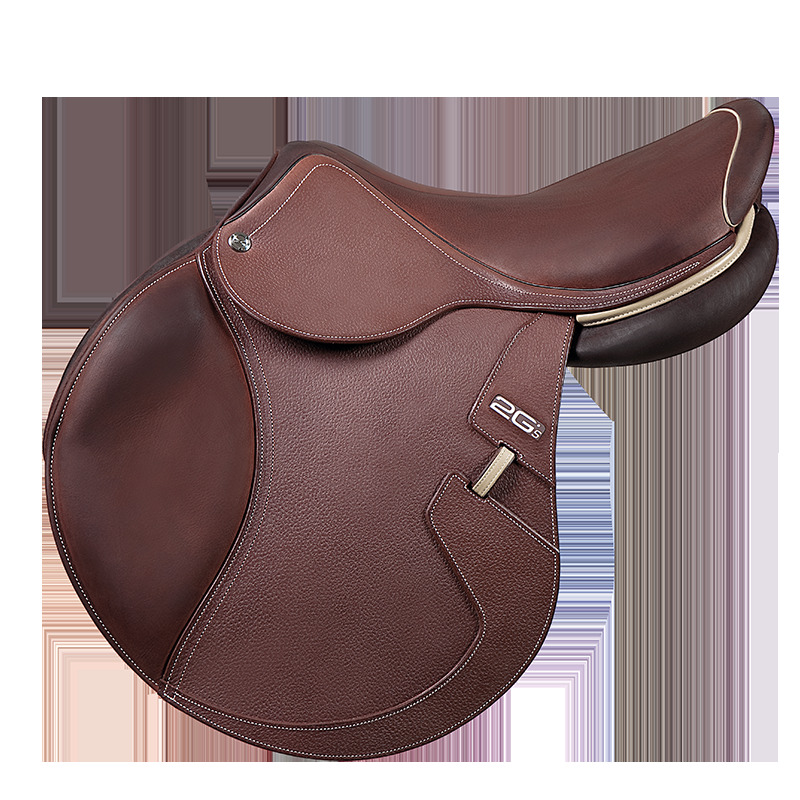 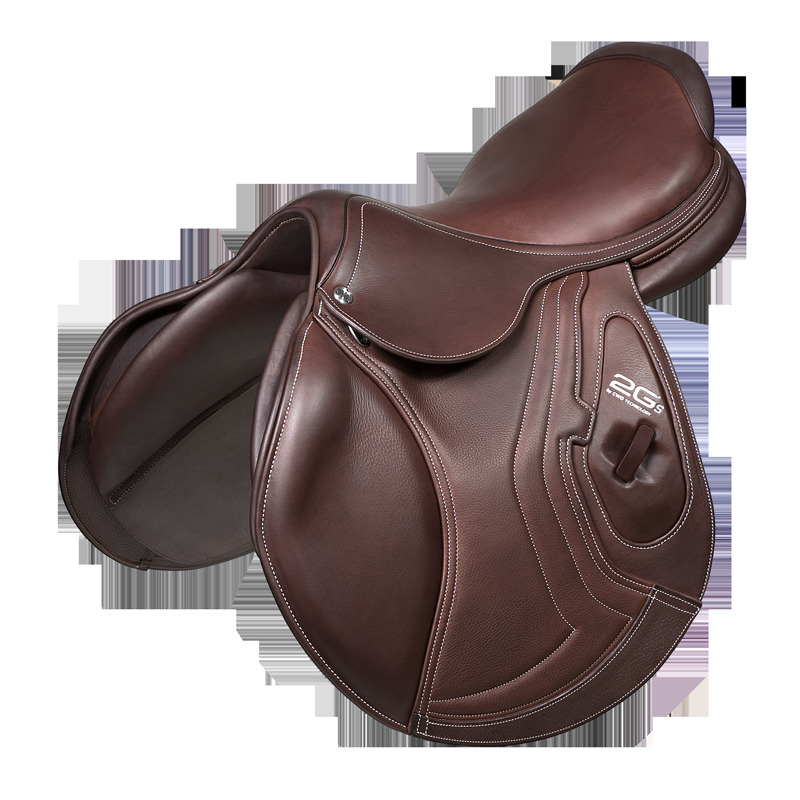 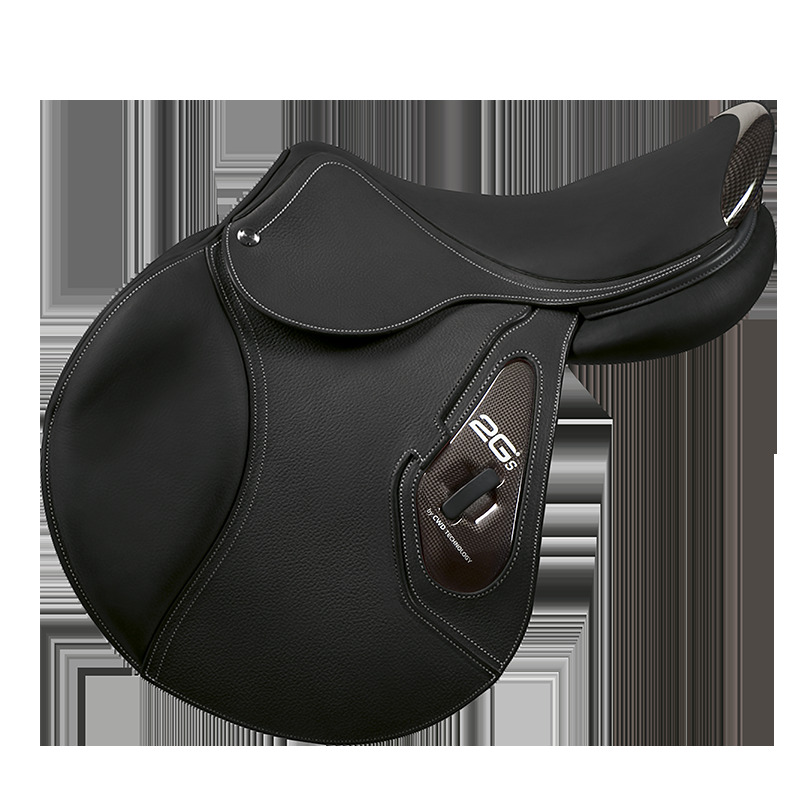 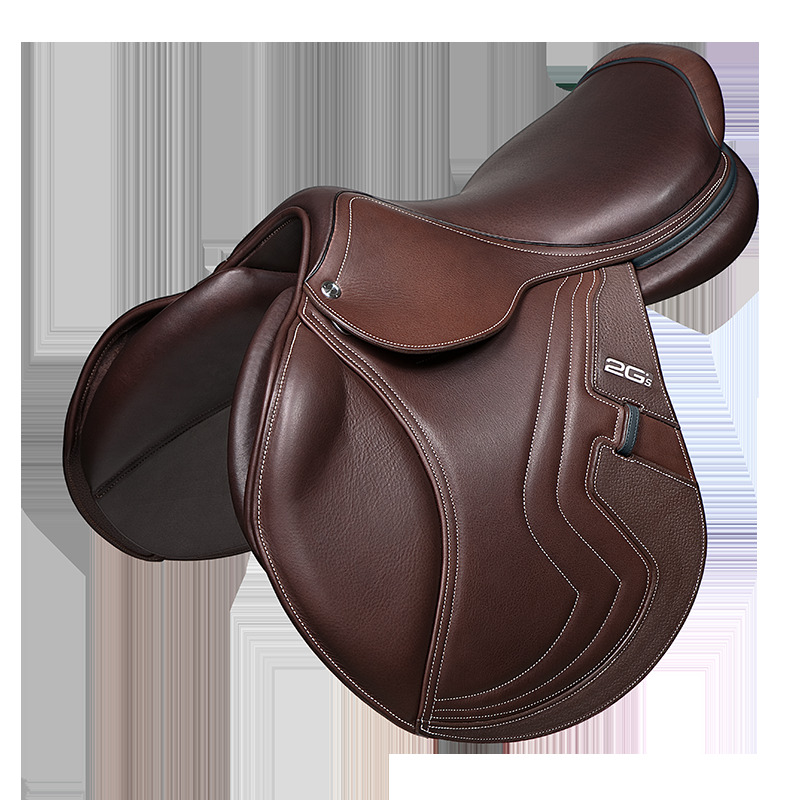 The result: a more responsive 2Gs® saddle with closer contact and improved comfort for both the horse and rider. A more refined and esthetic line. 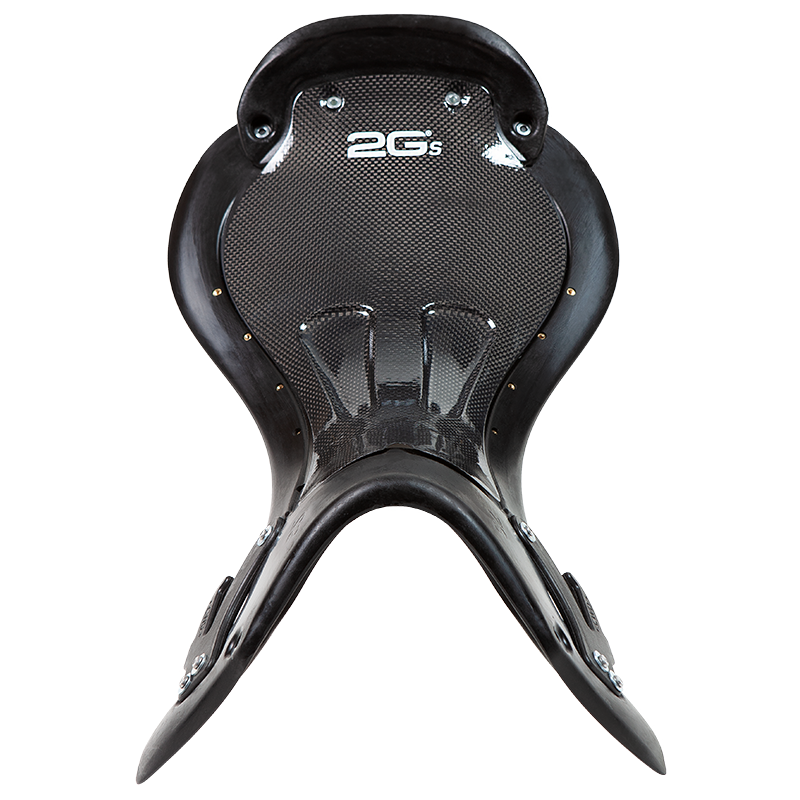 The 2Gs® combines new technologies and new materials, reflecting our obsession with sport that defines your expectations so well. Its carbon Kevlar Dynamick® saddle tree forms a backbone optimizing the flexible and rigid parts of the saddle which are all integrated in a non-structural component. Every element of assembly (stirrup bars, seat, etc.) is directly inserted into the composite frame for closer contact between the rider and his horse. 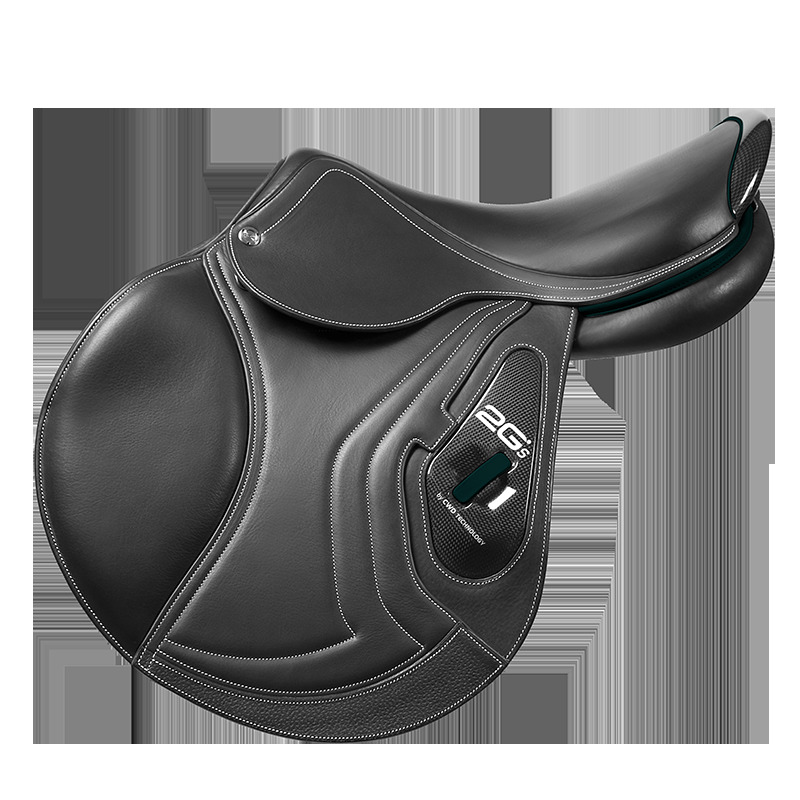 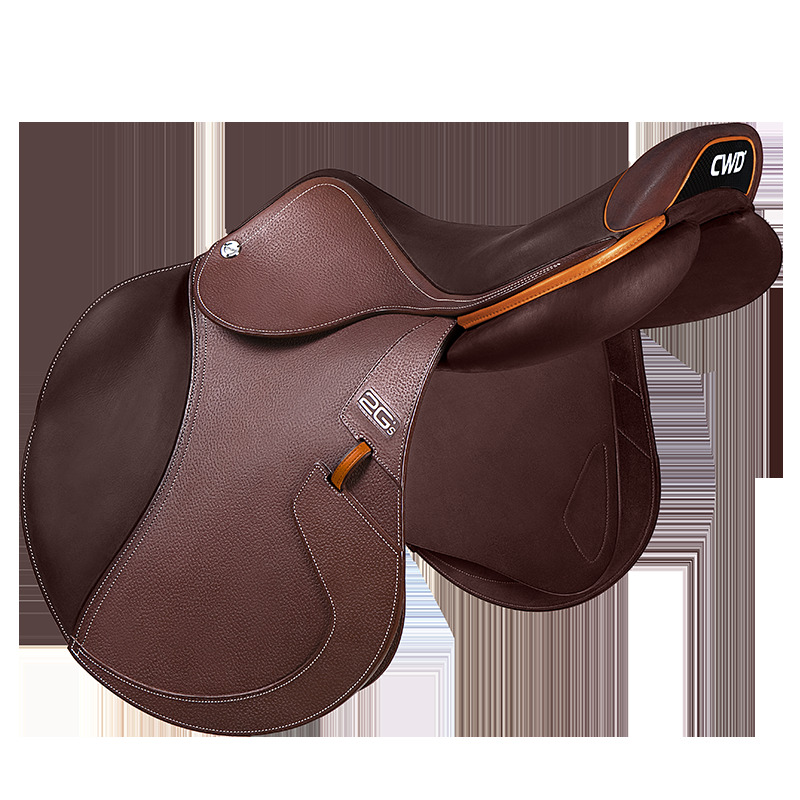 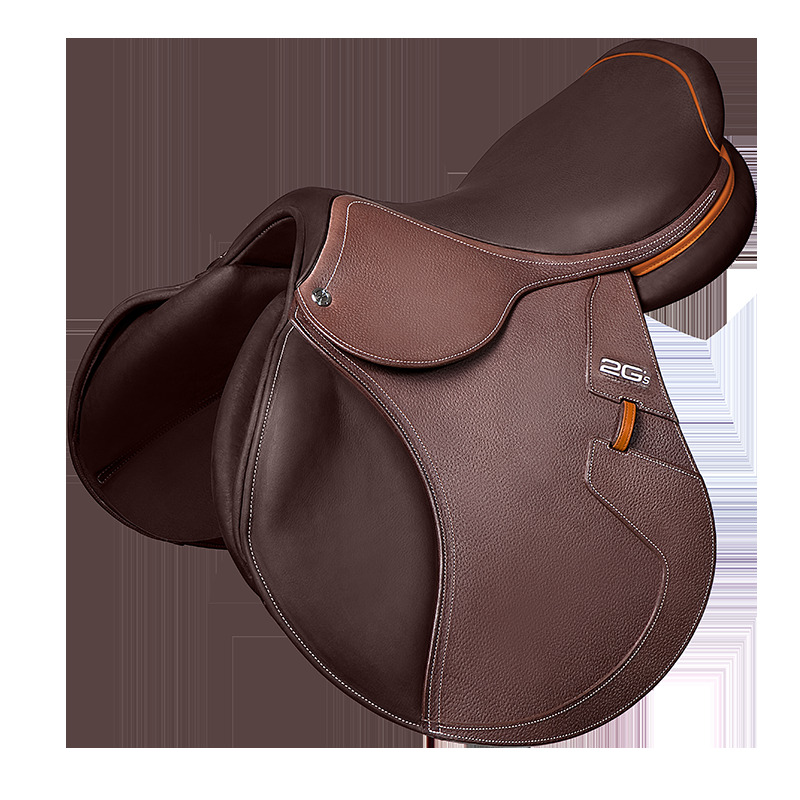 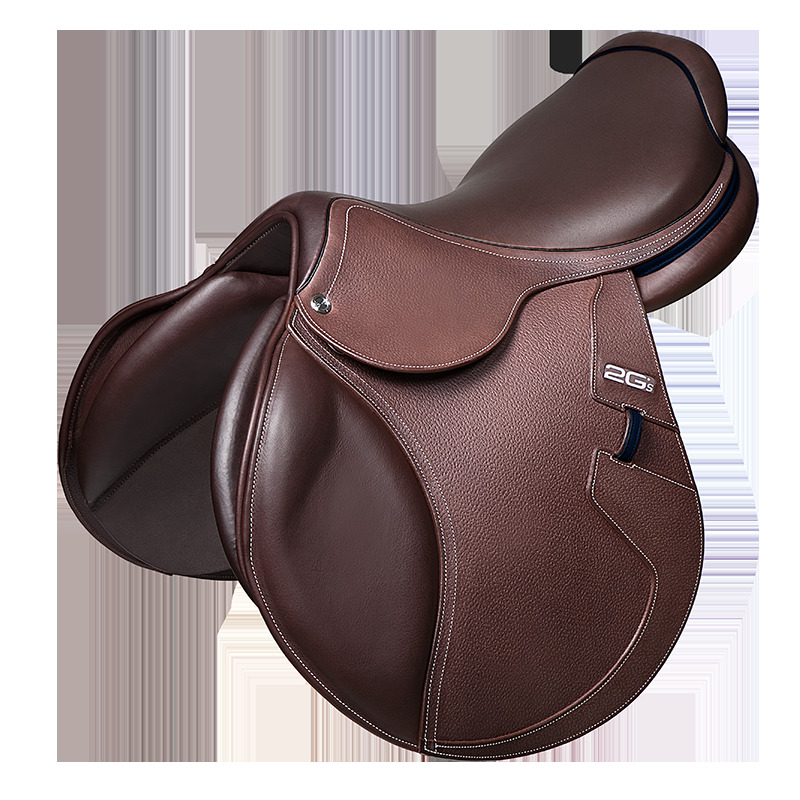 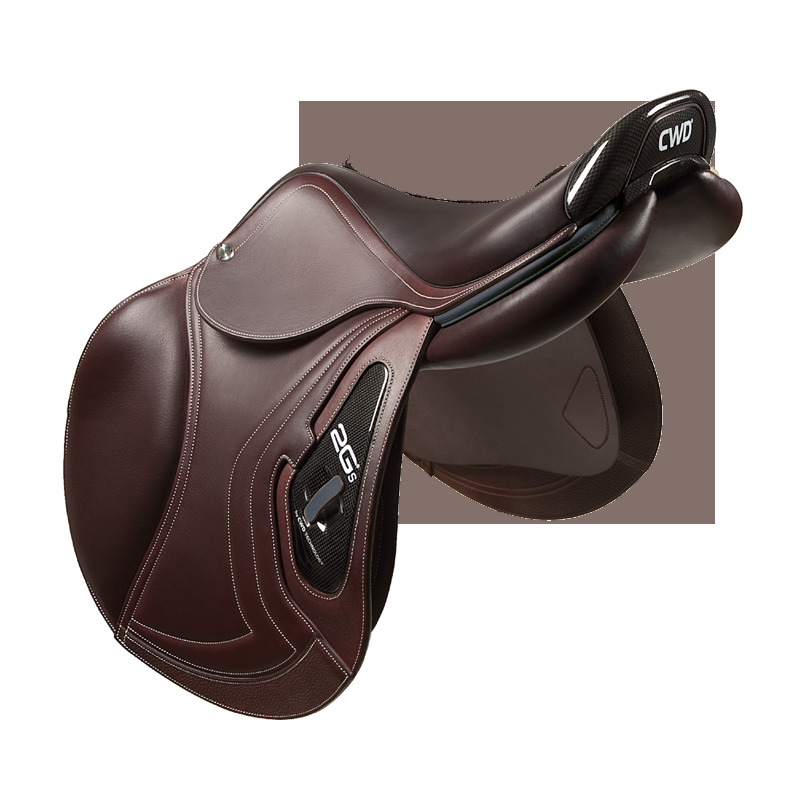 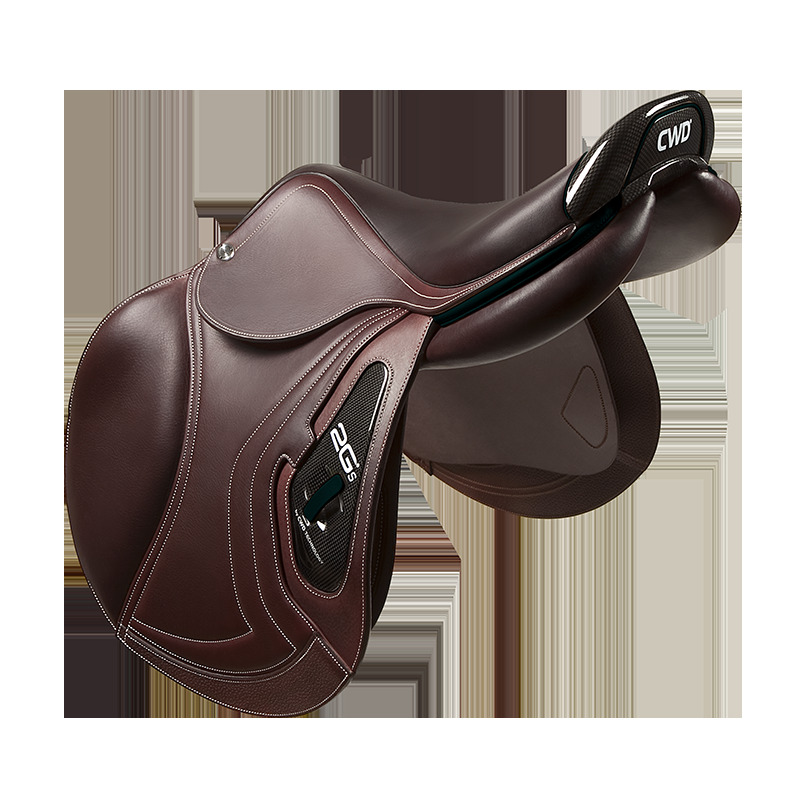 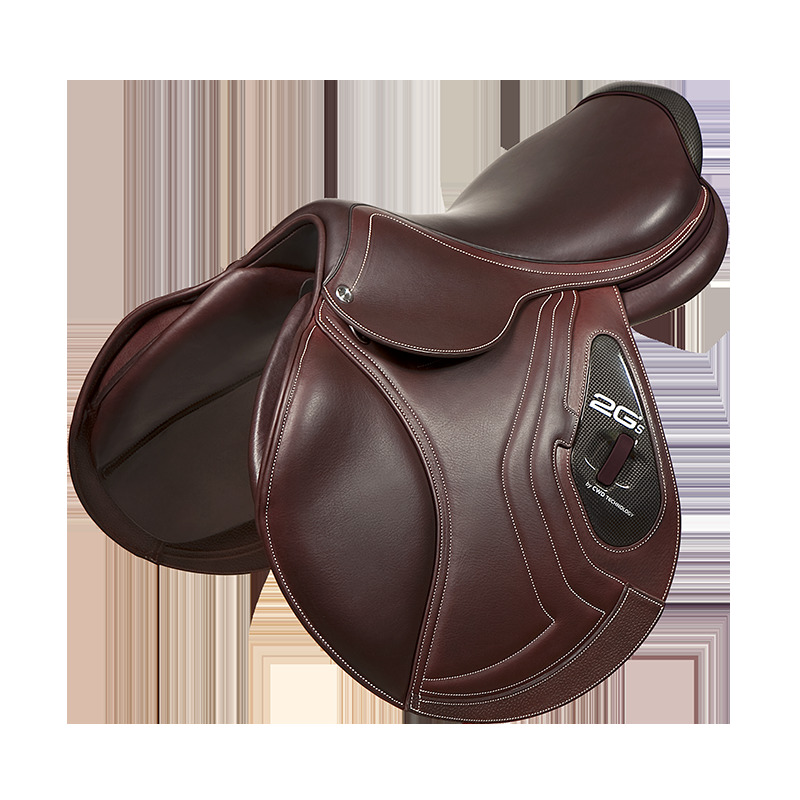 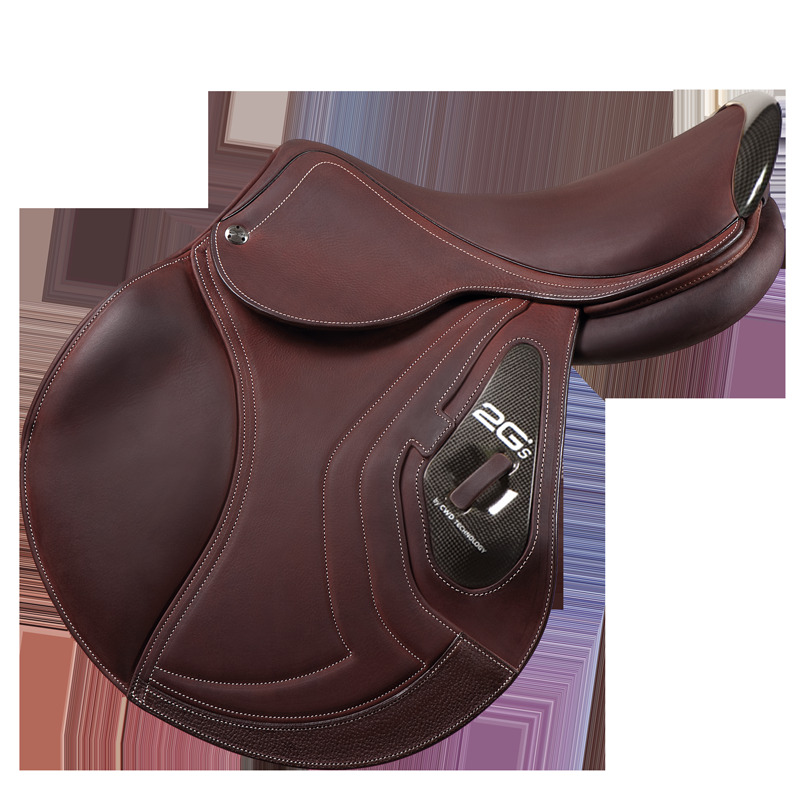 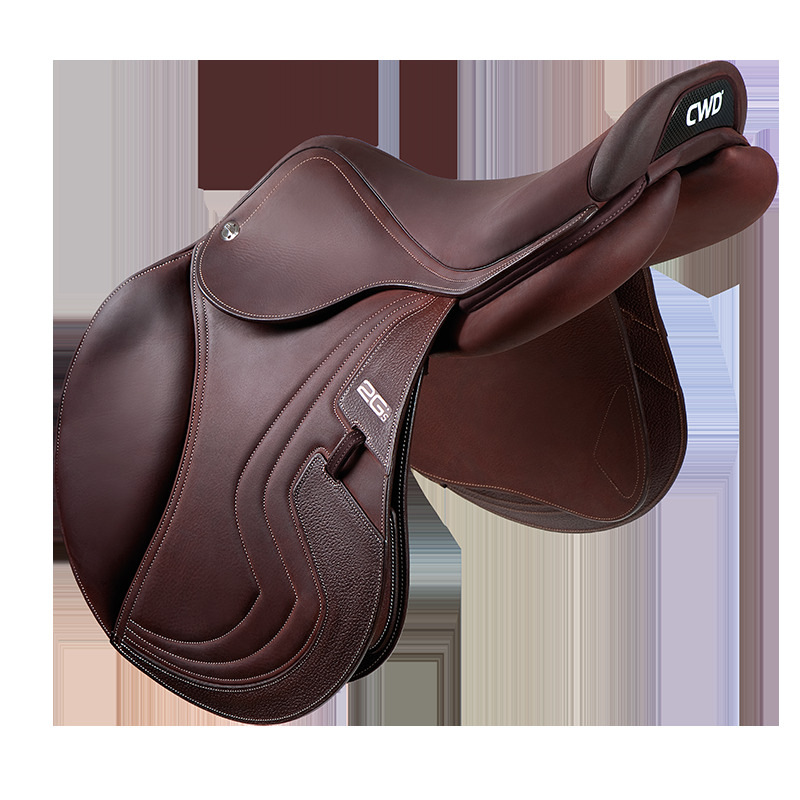 Stirrup leather keepers and piping (cantle and seat) can now be customized on the 2Gs® saddle. You can choose between 11 colours, from the most discrete to the flashiest. Panel screws are now integrated to improve saddle fit. 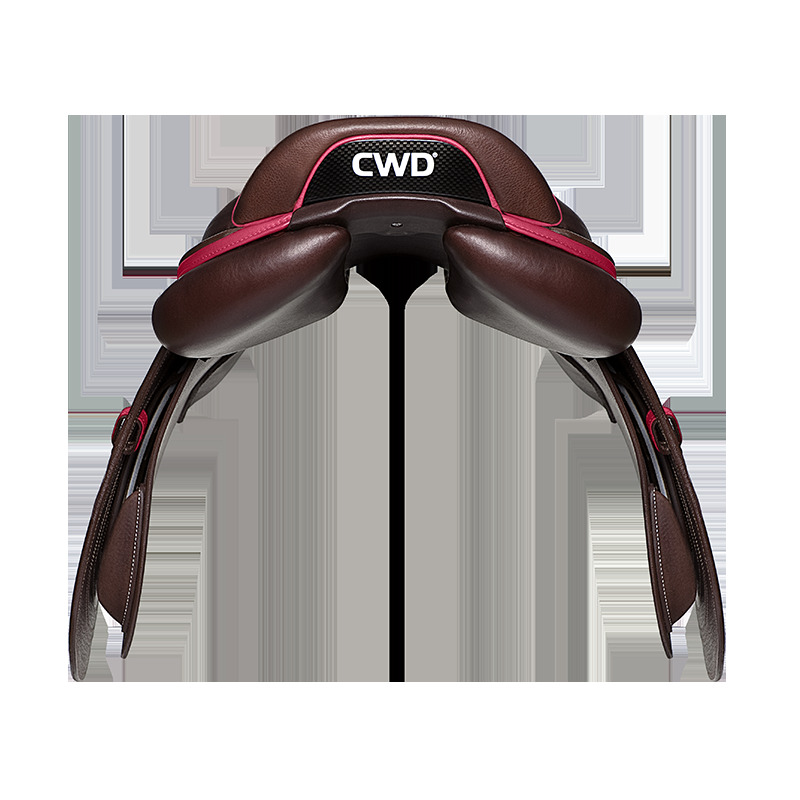 The carbon reinforcement has a new look with 3D curves emphasising stirrup leather keepers and the location of the rear stop. The carbon reinforcement is fixed to the tree with leather for more flexibility in the flap and easy girthing. New integrated stirrup leather keepers to avoid extra thickness, lined with colored leather. Cantle guard screws have been concealed with colored piping. Integrated panels for unparalleled close contact. 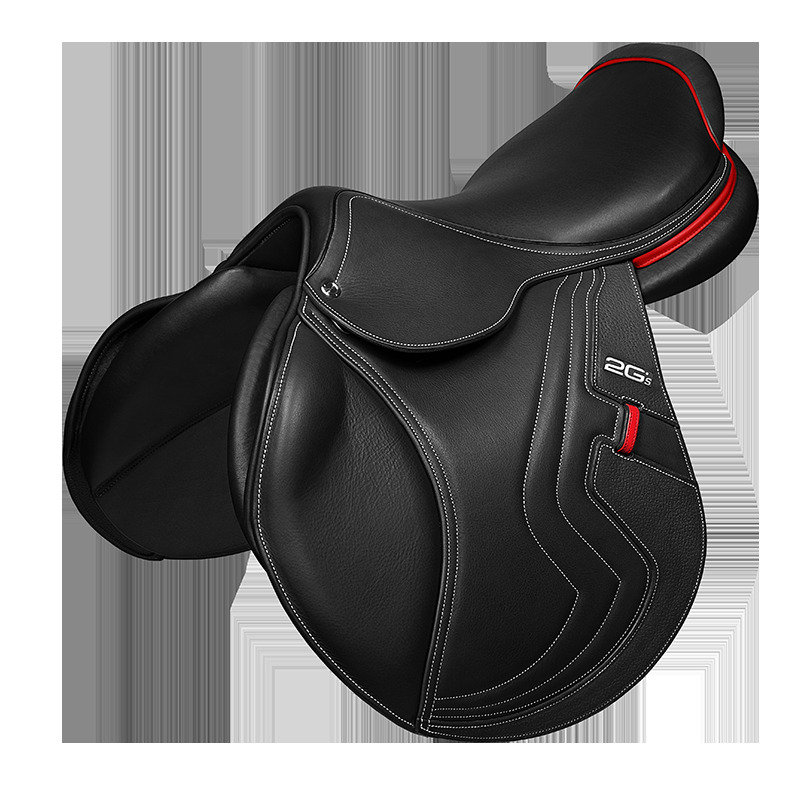 Gel seat targeting specific areas for improved rider comfort. Ergonomics and greater design precision guaranteed. 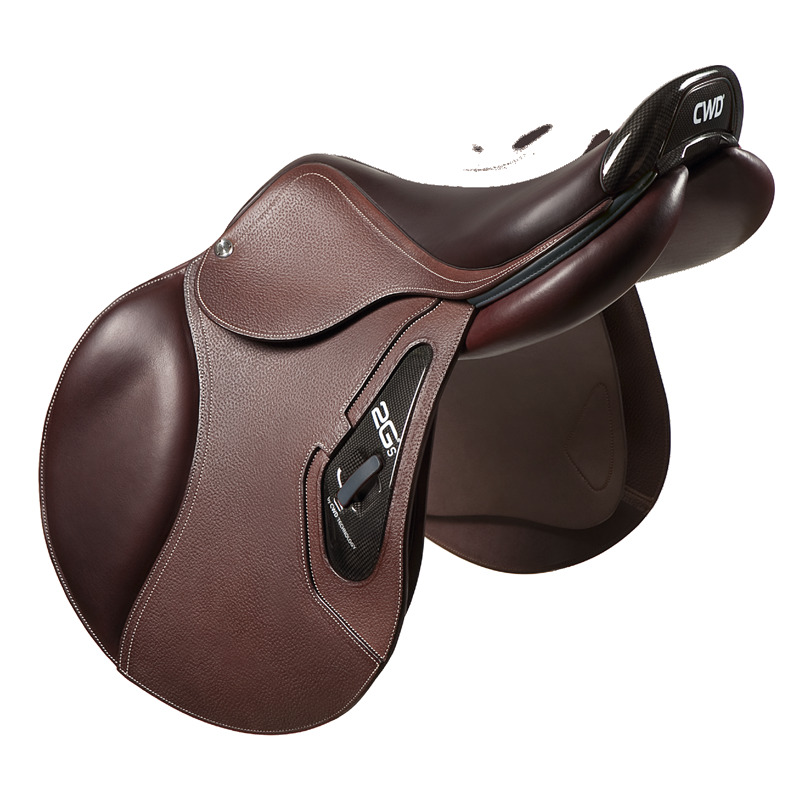 Use of an integrated carbon seat puts the rider's centre of gravity 1.5 cm closer to the horse. 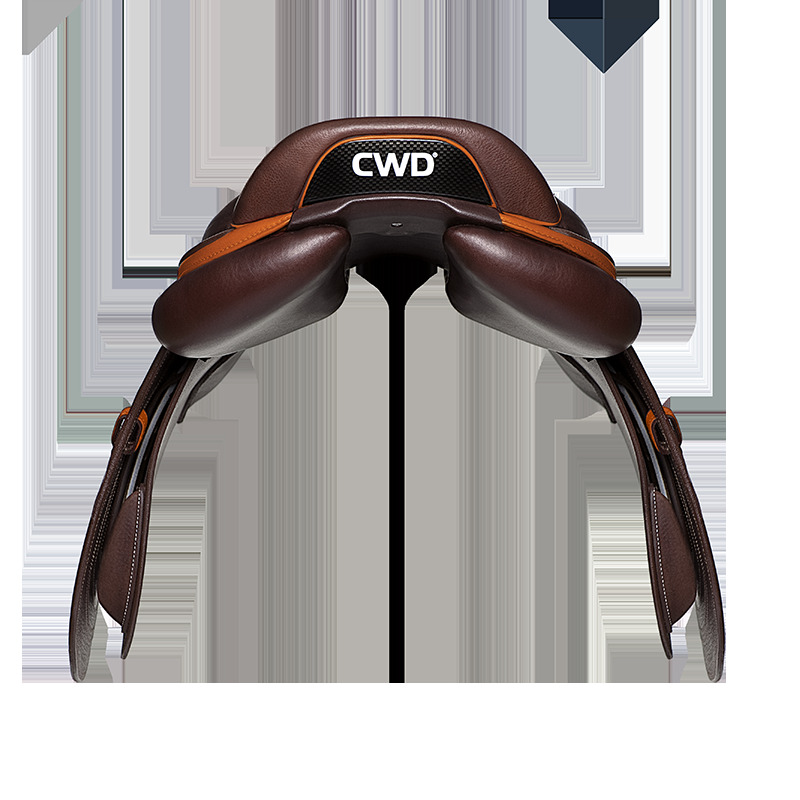 Pro-active flap reinforcements for optimum leg support. Carbon cantle-guard to avoid premature use. Carbon stirrup bars that are 10 times lighter and 4 times more resistant than conventional bars. Dynamic saddle tree which adapts to the horse's morphology. Stirrup leather keepers positioned lower to reduce thickness under the skirt. 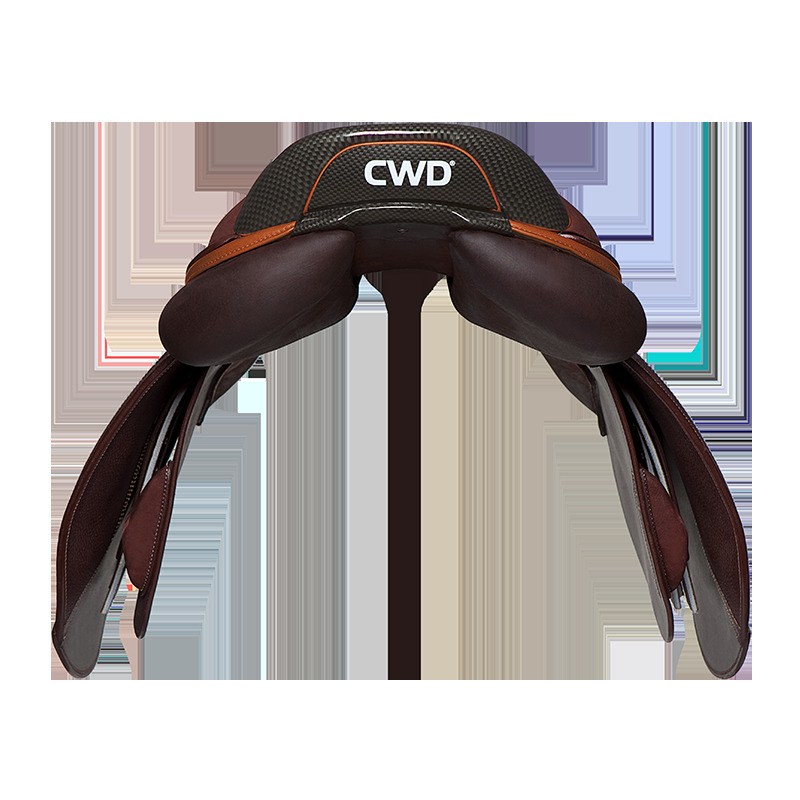 The saddle is dynamic when the horse and rider are working. The SoJump stirrup leathers are wide and have been designed to improve the rider’s comfort and stability. The buckle is at stirrup level and is not in contact with the rider’s leg.